Главная / ПРОБЛЕМЫ / DERGlobal Limited — Не платит! DERGlobal Limited — Не платит! DERGlobal Limited — Закончил работу! Новинка на блоге DERGlobal (официальный сайт проекта). И снова партизан на блоге! Почему я говорю партизан — читайте ТУТ. Почему опять «партизан»? Пока что, они показывают хорошую работу. Во всяком случаи, два партизана работают и в ус не дуют — давая прибыль. Один уже увосьмирил мой депозит, второй только недавно размещен на блоге но, «тихой сапой» вполне, я думаю, может дать зарабатывать на протяжении длительного времени. Тем более, что депозит в проекте ограничен $100. Пихай — не пихай, а сумма выше сотки будет возвращена на баланс. Проекту надо нарабатывать срок, а крупными депозитами мы только мешаем этот срок увеличивать. Словом, я зашла на $100 на единственный рабочий первый план: 2.1% в сутки на 45 дней, где депозит возвращается в конце срока. Чистая прибыль по этому плану составит 94.5%. Листингов нет, страховок нет. DERGlobal Limited — это долгосрочная программа выдачи частных кредитов, поддерживаемая торговлей на рынке Форекс и инвестирующая в различные фонды и деятельность. Прибыль от этих инвестиций используется для повышения нашей программы и повышения ее стабильности в долгосрочной перспективе. The amount of 100 USD has been withdrawn from your account. Accounts: U133****->U15359067. Memo: Shopping Cart Payment. Deposit to DERGlobal Limited User SleduiZaMnoicom.. Date: 12:17 11.03.18. Batch: 208017785. 06.10 Новый тарифный план — 2.1% в сутки на 20 дней. Дата взята не с потолка. На сегодняшний день лимит на максимальный депозит 500$, кол-во активных вкладов — один. Если сделать депозит на 20 дней, то будет два активных депа — партизанский и новый. Лимит на кол-во так и остался — 1 активный депозит, максимум 100$. Так же на главной указана новая реф.комиссия — 1%. Проект платит! Хватит его в скам отправлять то повсюду 🙂 Возможно тяжелые выходные у админа были, или нет возможности все заявки отрабатывать. Крупные выплаты на ММЖП постят (70$, 200$). Мне вчера пришла за 10 часов с момента заказа. Received Payment 11.00 USD from account U15359067. Memo: API Payment. Withdraw to AlexKHV from DERGlobal Limited. The amount of 2.1 USD has been deposited to your account. Accounts: U15359067->U133. Memo: API Payment. Withdraw to SleduiZaMnoicom from DERGlobal Limited.. Date: 14:24 02.03.19. Batch: 249004205. Платит: Received Payment 4.12 USD from account U15359067. Memo: API Payment. Withdraw to YuSo from DERGlobal Limited. Платит: Received Payment 4.00 USD from account U15359067. Memo: API Payment. Withdraw to YuSo from DERGlobal Limited. The amount of 2.1 USD has been deposited to your account. Accounts: U15359067->U133. Memo: API Payment. Withdraw to SleduiZaMnoicom from DERGlobal Limited.. Date: 11:44 02.03.19. Batch: 248983177. The amount of 2.1 USD has been deposited to your account. Accounts: U15359067->U133. Memo: API Payment. Withdraw to SleduiZaMnoicom from DERGlobal Limited.. Date: 10:57 02.03.19. Batch: 248976735. Выплата:The amount of 4.47 USD has been deposited to your account. Accounts: U15359067->U6518888. Memo: API Payment. Withdraw to Nika288 from DERGlobal Limited.. Date: 20:31 27.02.19. Batch: 248265772. The amount of 2.1 USD has been deposited to your account. Accounts: U15359067->U133****. Memo: API Payment. Withdraw to SleduiZaMnoicom from DERGlobal Limited.. Date: 19:33 27.02.19. Batch: 248259471. Выплата DERGlobal: The amount of 0.21 USD has been deposited to your account. Accounts: U15359067->U981****. Memo: API Payment. Withdraw to investingnp from DERGlobal Limited.. Date: 21:14 26.02.19. Batch: 248114135. The amount of 2.1 USD has been deposited to your account. Accounts: U15359067->U133****. Memo: API Payment. Withdraw to SleduiZaMnoicom from DERGlobal Limited.. Date: 19:20 26.02.19. Batch: 248104050. Выплата DERGlobal: The amount of 0.21 USD has been deposited to your account. Accounts: U15359067->U981****. Memo: API Payment. Withdraw to investingnp from DERGlobal Limited.. Date: 17:29 25.02.19. Batch: 247947729. Выплата DERGlobal: The amount of 0.21 USD has been deposited to your account. Accounts: U15359067->U981****. Memo: API Payment. Withdraw to investingnp from DERGlobal Limited.. Date: 18:01 24.02.19. Batch: 247812319. The amount of 2.1 USD has been deposited to your account. Accounts: U15359067->U133. Memo: API Payment. Withdraw to SleduiZaMnoicom from DERGlobal Limited.. Date: 18:13 25.02.19. Batch: 247953065. The amount of 2.1 USD has been deposited to your account. Accounts: U15359067->U133****. Memo: API Payment. Withdraw to SleduiZaMnoicom from DERGlobal Limited.. Date: 17:10 24.02.19. Batch: 247806987. Выплата DERGlobal: The amount of 0.21 USD has been deposited to your account. Accounts: U15359067->U981****. Memo: API Payment. Withdraw to investingnp from DERGlobal Limited.. Date: 18:00 23.02.19. Batch: 247696655. Выплата DERGlobal: The amount of 0.21 USD has been deposited to your account. Accounts: U15359067->U981****. Memo: API Payment. Withdraw to investingnp from DERGlobal Limited.. Date: 13:13 23.02.19. Batch: 247664355. Выплата DERGlobal: The amount of 0.21 USD has been deposited to your account. Accounts: U15359067->U981****. Memo: API Payment. Withdraw to investingnp from DERGlobal Limited.. Date: 07:44 22.02.19. Batch: 247496670. The amount of 2.1 USD has been deposited to your account. Accounts: U15359067->U133. Memo: API Payment. Withdraw to SleduiZaMnoicom from DERGlobal Limited.. Date: 14:21 23.02.19. Batch: 247673032. Выплата:The amount of 2.24 USD has been deposited to your account. Accounts: U15359067->U6518888. Memo: API Payment. Withdraw to Nika288 from DERGlobal Limited.. Date: 07:49 22.02.19. Batch: 247497575. The amount of 2.1 USD has been deposited to your account. Accounts: U15359067->U133. Memo: API Payment. Withdraw to SleduiZaMnoicom from DERGlobal Limited.. Date: 12:59 21.02.19. Batch: 247397377. Выплата:The amount of 2.23 USD has been deposited to your account. Accounts: U15359067->U6518888. Memo: API Payment. Withdraw to Nika288 from DERGlobal Limited.. Date: 18:07 20.02.19. Batch: 247298935. Выплата DERGlobal: The amount of 0.21 USD has been deposited to your account. Accounts: U15359067->U981****. Memo: API Payment. Withdraw to investingnp from DERGlobal Limited.. Date: 18:05 20.02.19. Batch: 247298679. Выплата DERGlobal: The amount of 0.21 USD has been deposited to your account. Accounts: U15359067->U981****. Memo: API Payment. Withdraw to investingnp from DERGlobal Limited.. Date: 20:48 19.02.19. Batch: 247171959. Выплата DERGlobal: The amount of 0.21 USD has been deposited to your account. Accounts: U15359067->U981****. Memo: API Payment. Withdraw to investingnp from DERGlobal Limited.. Date: 21:13 18.02.19. Batch: 247035331. The amount of 2.1 USD has been deposited to your account. Accounts: U15359067->U133. Memo: API Payment. Withdraw to SleduiZaMnoicom from DERGlobal Limited.. Date: 16:17 20.02.19. Batch: 247283880. The amount of 2.1 USD has been deposited to your account. Accounts: U15359067->U133****. Memo: API Payment. Withdraw to SleduiZaMnoicom from DERGlobal Limited.. Date: 20:24 19.02.19. Batch: 247168901. Выплата:The amount of 2.24 USD has been deposited to your account. Accounts: U15359067->U6518888. Memo: API Payment. Withdraw to Nika288 from DERGlobal Limited.. Date: 21:10 18.02.19. Batch: 247034980. The amount of 2.1 USD has been deposited to your account. Accounts: U15359067->U133**** Memo: API Payment. Withdraw to SleduiZaMnoicom from DERGlobal Limited.. Date: 20:03 18.02.19. Batch: 247026484. Выплата DERGlobal: The amount of 0.21 USD has been deposited to your account. Accounts: U15359067->U981****. Memo: API Payment. Withdraw to investingnp from DERGlobal Limited.. Date: 14:54 17.02.19. Batch: 246862343. Выплата DERGlobal: The amount of 0.21 USD has been deposited to your account. Accounts: U15359067->U981****. Memo: API Payment. Withdraw to investingnp from DERGlobal Limited.. Date: 02:27 16.02.19. Batch: 246691418. The amount of 2.1 USD has been deposited to your account. Accounts: U15359067->U133**** Memo: API Payment. Withdraw to SleduiZaMnoicom from DERGlobal Limited.. Date: 12:25 17.02.19. Batch: 246846991. The amount of 2.1 USD has been deposited to your account. Accounts: U15359067->U133****. Memo: API Payment. Withdraw to SleduiZaMnoicom from DERGlobal Limited.. Date: 06:42 17.02.19. Batch: 246813878. The amount of 2.1 USD has been deposited to your account. Accounts: U15359067->U133****. Memo: API Payment. Withdraw to SleduiZaMnoicom from DERGlobal Limited.. Date: 01:41 16.02.19. Batch: 246688711. Выплата DERGlobal: The amount of 0.21 USD has been deposited to your account. Accounts: U15359067->U981****. Memo: API Payment. Withdraw to investingnp from DERGlobal Limited.. Date: 22:17 14.02.19. Batch: 246562329. Выплата DERGlobal: The amount of 0.21 USD has been deposited to your account. Accounts: U15359067->U981****. Memo: API Payment. Withdraw to investingnp from DERGlobal Limited.. Date: 02:51 14.02.19. Batch: 246448014. The amount of 2.1 USD has been deposited to your account. Accounts: U15359067->U133. Memo: API Payment. Withdraw to SleduiZaMnoicom from DERGlobal Limited.. Date: 22:54 14.02.19. Batch: 246564906. DERGlobal Limited	+1.05	Received Payment 1.05 USD from account U15359067. Memo: API Payment. Withdraw to grafinya from DERGlobal Limited. Выплата:The amount of 2.23 USD has been deposited to your account. Accounts: U15359067->U6518888. Memo: API Payment. Withdraw to Nika288 from DERGlobal Limited.. Date: 03:04 13.02.19. Batch: 246313641. Выплата DERGlobal: The amount of 0.21 USD has been deposited to your account. Accounts: U15359067->U981****. Memo: API Payment. Withdraw to investingnp from DERGlobal Limited.. Date: 02:49 13.02.19. Batch: 246312291. The amount of 2.1 USD has been deposited to your account. Accounts: U15359067->U133****. Memo: API Payment. Withdraw to SleduiZaMnoicom from DERGlobal Limited.. Date: 02:31 13.02.19. Batch: 246311017. The amount of 2.1 USD has been deposited to your account. Accounts: U15359067->U133****. Memo: API Payment. Withdraw to SleduiZaMnoicom from DERGlobal Limited.. Date: 20:21 11.02.19. Batch: 246158342. Выплата:The amount of 2.14 USD has been deposited to your account. Accounts: U15359067->U6518888. Memo: API Payment. Withdraw to Nika288 from DERGlobal Limited.. Date: 15:29 10.02.19. Batch: 246012259. The amount of 2.1 USD has been deposited to your account. Accounts: U15359067->U133****. Memo: API Payment. Withdraw to SleduiZaMnoicom from DERGlobal Limited.. Date: 17:14 09.02.19. Batch: 245921164. Выплата:The amount of 2.15 USD has been deposited to your account. Accounts: U15359067->U6518888. Memo: API Payment. Withdraw to Nika288 from DERGlobal Limited.. Date: 11:45 09.02.19. Batch: 245887872. The amount of 2.1 USD has been deposited to your account. Accounts: U15359067->U133****. Memo: API Payment. Withdraw to SleduiZaMnoicom from DERGlobal Limited.. Date: 11:48 09.02.19. Batch: 245888287. The amount of 7.1 USD has been deposited to your account. Accounts: U15359067->U133. Memo: API Payment. Withdraw to SleduiZaMnoicom from DERGlobal Limited.. Date: 18:26 08.02.19. Batch: 245818893. Выплата:The amount of 2.14 USD has been deposited to your account. Accounts: U15359067->U6518888. Memo: API Payment. Withdraw to Nika288 from DERGlobal Limited.. Date: 12:16 08.02.19. Batch: 245777533. Выплата:The amount of 2.14 USD has been deposited to your account. Accounts: U15359067->U6518888. Memo: API Payment. Withdraw to Nika288 from DERGlobal Limited.. Date: 10:50 07.02.19. Batch: 245656070. ✅Выплата DERGlobal: The amount of 0.21 USD has been deposited to your account. Accounts: U15359067->U981****. Memo: API Payment. Withdraw to investingnp from DERGlobal Limited.. Date: 21:19 06.02.19. Batch: 245607836. The amount of 2.1 USD has been deposited to your account. Accounts: U15359067->U133. Memo: API Payment. Withdraw to SleduiZaMnoicom from DERGlobal Limited.. Date: 21:02 06.02.19. Batch: 245606817. The amount of 2.1 USD has been deposited to your account. Accounts: U15359067->U133**** Memo: API Payment. Withdraw to SleduiZaMnoicom from DERGlobal Limited.. Date: 17:38 05.02.19. Batch: 245468764. Выплата:The amount of 4.29 USD has been deposited to your account. Accounts: U15359067->U6518888. Memo: API Payment. Withdraw to Nika288 from DERGlobal Limited.. Date: 21:10 04.02.19. Batch: 245365683. The amount of 2.1 USD has been deposited to your account. Accounts: U15359067->U133. Memo: API Payment. Withdraw to SleduiZaMnoicom from DERGlobal Limited.. Date: 22:30 04.02.19. Batch: 245372991. The amount of 2.1 USD has been deposited to your account. Accounts: U15359067->U133 Memo: API Payment. Withdraw to SleduiZaMnoicom from DERGlobal Limited.. Date: 21:06 04.02.19. Batch: 245365290. The amount of 2.1 USD has been deposited to your account. Accounts: U15359067->U133. Memo: API Payment. Withdraw to SleduiZaMnoicom from DERGlobal Limited.. Date: 14:40 03.02.19. Batch: 245218315. The amount of 2.5 USD has been deposited to your account. Accounts: U15359067->U133. Memo: API Payment. Withdraw to SleduiZaMnoicom from DERGlobal Limited.. Date: 15:52 02.02.19. Batch: 245130273. The amount of 2.1 USD has been deposited to your account. Accounts: U15359067->U133. Memo: API Payment. Withdraw to SleduiZaMnoicom from DERGlobal Limited.. Date: 16:22 01.02.19. Batch: 245029986. The amount of 2.1 USD has been deposited to your account. Accounts: U15359067->U1339252. Memo: API Payment. Withdraw to SleduiZaMnoicom from DERGlobal Limited.. Date: 16:14 01.02.19. Batch: 245028942. Выплата:The amount of 2.15 USD has been deposited to your account. Accounts: U15359067->U6518888. Memo: API Payment. Withdraw to Nika288 from DERGlobal Limited.. Date: 14:53 01.02.19. Batch: 245004836. Выплата:The amount of 2.14 USD has been deposited to your account. Accounts: U15359067->U6518888. Memo: API Payment. Withdraw to Nika288 from DERGlobal Limited.. Date: 10:40 30.01.19. Batch: 244413518. DERGlobal Limited	+1.05	62.46	Received Payment 1.05 USD from account U15359067. Memo: API Payment. Withdraw to grafinya from DERGlobal Limited. DERGlobal Limited	+1.05	61.41	Received Payment 1.05 USD from account U15359067. Memo: API Payment. Withdraw to grafinya from DERGlobal Limited. The amount of 2.1 USD has been deposited to your account. Accounts: U15359067->U133. Memo: API Payment. Withdraw to SleduiZaMnoicom from DERGlobal Limited.. Date: 11:23 30.01.19. Batch: 244418673. Выплата:The amount of 2.14 USD has been deposited to your account. Accounts: U15359067->U6518888. Memo: API Payment. Withdraw to Nika288 from DERGlobal Limited.. Date: 08:10 29.01.19. Batch: 244275209. The amount of 2.5 USD has been deposited to your account. Accounts: U15359067->U133****. Memo: API Payment. Withdraw to SleduiZaMnoicom from DERGlobal Limited.. Date: 08:14 29.01.19. Batch: 244275716. The amount of 2.1 USD has been deposited to your account. Accounts: U15359067->U133 Memo: API Payment. Withdraw to SleduiZaMnoicom from DERGlobal Limited.. Date: 13:33 28.01.19. Batch: 244192762. The amount of 2.1 USD has been deposited to your account. Accounts: U15359067->U133. Memo: API Payment. Withdraw to SleduiZaMnoicom from DERGlobal Limited.. Date: 12:47 28.01.19. Batch: 244186736. Выплата DERGlobal: The amount of 0.63 USD has been deposited to your account. Accounts: U15359067->U981****. Memo: API Payment. Withdraw to investingnp from DERGlobal Limited.. Date: 23:26 25.01.19. Batch: 243941095. Выплата:The amount of 2.14 USD has been deposited to your account. Accounts: U15359067->U6518888. Memo: API Payment. Withdraw to Nika288 from DERGlobal Limited.. Date: 07:41 27.01.19. Batch: 244053935. The amount of 2.1 USD has been deposited to your account. Accounts: U15359067->U133 Memo: API Payment. Withdraw to SleduiZaMnoicom from DERGlobal Limited.. Date: 07:41 27.01.19. Batch: 244053926. The amount of 2.1 USD has been deposited to your account. Accounts: U15359067->U133. Memo: API Payment. Withdraw to SleduiZaMnoicom from DERGlobal Limited.. Date: 23:27 25.01.19. Batch: 243941163. Выплата DERGlobal: The amount of 0.63 USD has been deposited to your account. Accounts: U15359067->U981****. Memo: API Payment. Withdraw to investingnp from DERGlobal Limited.. Date: 20:44 24.01.19. Batch: 243827237. Выплата DERGlobal: The amount of 0.63 USD has been deposited to your account. Accounts: U15359067->U981****. Memo: API Payment. Withdraw to investingnp from DERGlobal Limited.. Date: 22:31 23.01.19. Batch: 243723475. Выплата:The amount of 2.14 USD has been deposited to your account. Accounts: U15359067->U6518888. Memo: API Payment. Withdraw to Nika288 from DERGlobal Limited.. Date: 20:49 24.01.19. Batch: 243827837 . Выплата DERGlobal: The amount of 0.63 USD has been deposited to your account. Accounts: U15359067->U981****. Memo: API Payment. Withdraw to investingnp from DERGlobal Limited.. Date: 18:08 22.01.19. Batch: 243587619. Выплата DERGlobal: The amount of 0.63 USD has been deposited to your account. Accounts: U15359067->U981****. Memo: API Payment. Withdraw to investingnp from DERGlobal Limited.. Date: 17:43 22.01.19. Batch: 243584084. $5.00 has been successfully sent to your Payeer account P480****. The amount of 8 USD has been deposited to your account. Accounts: U15359067->U133. Memo: API Payment. Withdraw to SleduiZaMnoicom from DERGlobal Limited.. Date: 20:08 22.01.19. Batch: 243599664. 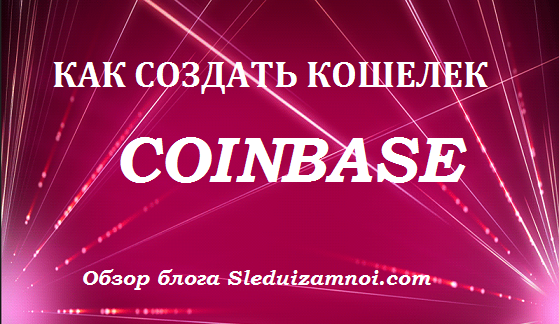 Очередная выплата с DERGlobal -The amount of 2 USD has been deposited to your account. Accounts: U15359067->U5069649. Memo: API Payment. Withdraw to violator from DERGlobal Limited.Сегодня быстрее! The amount of 2.1 USD has been deposited to your account. Accounts: U15359067->U133. Memo: API Payment. Withdraw to SleduiZaMnoicom from DERGlobal Limited.. Date: 23:20 21.01.19. Batch: 243488653. Выплата DERGlobal: The amount of 0.63 USD has been deposited to your account. Accounts: U15359067->U981****. Memo: API Payment. Withdraw to investingnp from DERGlobal Limited.. Date: 08:19 21.01.19. Batch: 243402000. Выплата:The amount of 2.1 USD has been deposited to your account. Accounts: U15359067->U6518888. Memo: API Payment. Withdraw to Nika288 from DERGlobal Limited.. Date: 08:42 21.01.19. Batch: 243404825. The amount of 2.1 USD has been deposited to your account. Accounts: U15359067->U133. Memo: API Payment. Withdraw to SleduiZaMnoicom from DERGlobal Limited.. Date: 08:46 21.01.19. Batch: 243405349. Выплата DERGlobal: The amount of 0.63 USD has been deposited to your account. Accounts: U15359067->U981****. Memo: API Payment. Withdraw to investingnp from DERGlobal Limited.. Date: 22:30 19.01.19. Batch: 243280136. Выплата DERGlobal: The amount of 0.63 USD has been deposited to your account. Accounts: U15359067->U981****. Memo: API Payment. Withdraw to investingnp from DERGlobal Limited.. Date: 21:21 18.01.19. Batch: 243182191. The amount of 2.1 USD has been deposited to your account. Accounts: U15359067->U133. Memo: API Payment. Withdraw to SleduiZaMnoicom from DERGlobal Limited.. Date: 22:31 19.01.19. Batch: 243280207. The amount of 2.1 USD has been deposited to your account. Accounts: U15359067->U133 Memo: API Payment. Withdraw to SleduiZaMnoicom from DERGlobal Limited.. Date: 21:51 18.01.19. Batch: 243184304. The amount of 2.1 USD has been deposited to your account. Accounts: U15359067->U133. Memo: API Payment. Withdraw to SleduiZaMnoicom from DERGlobal Limited.. Date: 21:48 17.01.19. Batch: 243074915. Выплата:The amount of 2.10 USD has been deposited to your account. Accounts: U15359067->U6518888. Memo: API Payment. Withdraw to Nika288 from DERGlobal Limited.. Date: 22:23 17.01.19. Batch: 243077527. Выплата DERGlobal: The amount of 0.63 USD has been deposited to your account. Accounts: U15359067->U981****. Memo: API Payment. Withdraw to investingnp from DERGlobal Limited.. Date: 18:29 16.01.19. Batch: 242961455. Выплата DERGlobal: The amount of 0.63 USD has been deposited to your account. Accounts: U15359067->U981****. Memo: API Payment. Withdraw to investingnp from DERGlobal Limited.. Date: 20:47 15.01.19. Batch: 242858917. The amount of 9.15 USD has been deposited to your account. Accounts: U15359067->U133**** Memo: API Payment. Withdraw to SleduiZaMnoicom from DERGlobal Limited.. Date: 19:59 16.01.19. Batch: 242970148. Выплата DERGlobal: The amount of 0.63 USD has been deposited to your account. Accounts: U15359067->U981****. Memo: API Payment. Withdraw to investingnp from DERGlobal Limited.. Date: 12:42 14.01.19. Batch: 242692395. The amount of 2.1 USD has been deposited to your account. Accounts: U15359067->U133**** Memo: API Payment. Withdraw to SleduiZaMnoicom from DERGlobal Limited.. Date: 14:13 14.01.19. Batch: 242703364. Выплата:The amount of 2.1 USD has been deposited to your account. Accounts: U15359067->U6518888. Memo: API Payment. Withdraw to Nika288 from DERGlobal Limited.. Date: 18:06 13.01.19. Batch: 242619270. Выплата DERGlobal: The amount of 0.63 USD has been deposited to your account. Accounts: U15359067->U981****. Memo: API Payment. Withdraw to investingnp from DERGlobal Limited.. Date: 00:52 13.01.19. Batch: 242549439. Выплата DERGlobal: The amount of 0.63 USD has been deposited to your account. Accounts: U15359067->U981****. Memo: API Payment. Withdraw to investingnp from DERGlobal Limited.. Date: 22:56 11.01.19. Batch: 242451240. The amount of 2.1 USD has been deposited to your account. Accounts: U15359067->. Memo: API Payment. Withdraw to Permanen from DERGlobal Limited.. Date: 17:54 13.01.19. Batch: 242617970. The amount of 2.5 USD has been deposited to your account. Accounts: U15359067->U133****. Memo: API Payment. Withdraw to SleduiZaMnoicom from DERGlobal Limited.. Date: 22:57 11.01.19. Batch: 242451386. The amount of 2.1 USD has been deposited to your account. Accounts: U15359067->U133****. Memo: API Payment. Withdraw to SleduiZaMnoicom from DERGlobal Limited.. Date: 22:49 11.01.19. Batch: 242450736. Выплата DERGlobal: The amount of 0.63 USD has been deposited to your account. Accounts: U15359067->U981****. Memo: API Payment. Withdraw to investingnp from DERGlobal Limited.. Date: 22:31 10.01.19. Batch: 242344842. The amount of 2.1 USD has been deposited to your account. Accounts: U15359067->U133****. Memo: API Payment. Withdraw to SleduiZaMnoicom from DERGlobal Limited.. Date: 22:28 10.01.19. Batch: 242344636. Выплата:The amount of 2.1 USD has been deposited to your account. Accounts: U15359067->U6518888. Memo: API Payment. Withdraw to Nika288 from DERGlobal Limited.. Date: 22:38 10.01.19. Batch: 242345319. DERGlobal Limited	+51.05	Received Payment 51.05 USD from account U15359067. Memo: API Payment. Withdraw to grafinya from DERGlobal Limited. DERGlobal Limited	-50.25	0.25	Sent Payment 50.00 USD to account U15359067. Memo: Shopping Cart Payment. Deposit to DERGlobal Limited User grafinya. The amount of 12.6 USD has been deposited to your account. Accounts: U15359067->U164ххх. Memo: API Payment. Withdraw to vk74 from DERGlobal Limited.. Date: 23:18 09.01.19. Batch: 242236655. The amount of 2.1 USD has been deposited to your account. Accounts: U15359067->U133****. Memo: API Payment. Withdraw to SleduiZaMnoicom from DERGlobal Limited.. Date: 23:11 09.01.19. Batch: 242236293. Выплата DERGlobal: The amount of 0.42 USD has been deposited to your account. Accounts: U15359067->U981****. Memo: API Payment. Withdraw to investingnp from DERGlobal Limited.. Date: 21:20 08.01.19. Batch: 242117360. The amount of 4.6 USD has been deposited to your account. Accounts: U15359067->U133**** Memo: API Payment. Withdraw to SleduiZaMnoicom from DERGlobal Limited.. Date: 21:23 08.01.19. Batch: 242117593. Выплата DERGlobal: The amount of 0.42 USD has been deposited to your account. Accounts: U15359067->U981****. Memo: API Payment. Withdraw to investingnp from DERGlobal Limited.. Date: 20:15 07.01.19. Batch: 242000446. The amount of 4.6 USD has been deposited to your account. Accounts: U15359067->U133****. Memo: API Payment. Withdraw to SleduiZaMnoicom from DERGlobal Limited.. Date: 21:28 07.01.19. Batch: 242005760. The amount of 2.1 USD has been deposited to your account. Accounts: U15359067->U133****. Memo: API Payment. Withdraw to SleduiZaMnoicom from DERGlobal Limited.. Date: 20:21 07.01.19. Batch: 242001132. Выплата DERGlobal: The amount of 0.42 USD has been deposited to your account. Accounts: U15359067->U981****. Memo: API Payment. Withdraw to investingnp from DERGlobal Limited.. Date: 21:34 06.01.19. Batch: 241904430. Выплата DERGlobal: The amount of 0.42 USD has been deposited to your account. Accounts: U15359067->U981****. Memo: API Payment. Withdraw to investingnp from DERGlobal Limited.. Date: 21:07 05.01.19. Batch: 241816968. The amount of 2.1 USD has been deposited to your account. Accounts: U15359067->U133****. Memo: API Payment. Withdraw to SleduiZaMnoicom from DERGlobal Limited.. Date: 21:08 05.01.19. Batch: 241817002. Выплата DERGlobal: The amount of 0.42 USD has been deposited to your account. Accounts: U15359067->U981****. Memo: API Payment. Withdraw to investingnp from DERGlobal Limited.. Date: 18:52 04.01.19. Batch: 241717494. The amount of 2.1 USD has been deposited to your account. Accounts: U15359067->U133**** Memo: API Payment. Withdraw to SleduiZaMnoicom from DERGlobal Limited.. Date: 18:54 04.01.19. Batch: 241717735. Выплата DERGlobal: The amount of 0.42 USD has been deposited to your account. Accounts: U15359067->U981****. Memo: API Payment. Withdraw to investingnp from DERGlobal Limited.. Date: 15:46 03.01.19. Batch: 241606605. The amount of 2.1 USD has been deposited to your account. Accounts: U15359067->U133****. Memo: API Payment. Withdraw to SleduiZaMnoicom from DERGlobal Limited.. Date: 15:23 03.01.19. Batch: 241603644. The amount of 2.1 USD has been deposited to your account. Accounts: U15359067->U133****. Memo: API Payment. Withdraw to SleduiZaMnoicom from DERGlobal Limited.. Date: 13:25 02.01.19. Batch: 241501825. Выплата:The amount of 4.37 USD has been deposited to your account. Accounts: U15359067->U6518888. Memo: API Payment. Withdraw to Nika288 from DERGlobal Limited.. Date: 14:09 01.01.19. Batch: 241432821. Выплата DERGlobal: The amount of 0.42 USD has been deposited to your account. Accounts: U15359067->U981****. Memo: API Payment. Withdraw to investingnp from DERGlobal Limited.. Date: 12:12 31.12.18. Batch: 241022746. The amount of 2.1 USD has been deposited to your account. Accounts: U15359067->U133****. Memo: API Payment. Withdraw to SleduiZaMnoicom from DERGlobal Limited.. Date: 13:54 01.01.19. Batch: 241431593. The amount of 2.1 USD has been deposited to your account. Accounts: U15359067->U133****. Memo: API Payment. Withdraw to SleduiZaMnoicom from DERGlobal Limited.. Date: 13:55 29.12.18. Batch: 240891937. The amount of 2.1 USD has been deposited to your account. Accounts: U15359067->U133**** Memo: API Payment. Withdraw to SleduiZaMnoicom from DERGlobal Limited.. Date: 20:19 28.12.18. Batch: 240844192. The amount of 4.6 USD has been deposited to your account. Accounts: U15359067->U133****. Memo: API Payment. Withdraw to SleduiZaMnoicom from DERGlobal Limited.. Date: 22:15 27.12.18. Batch: 240769800. The amount of 2.1 USD has been deposited to your account. Accounts: U15359067->U189. Memo: API Payment. Withdraw to pzegona from DERGlobal Limited.. Date: 10:18 26.12.18. Batch: 240626793. The amount of 2.1 USD has been deposited to your account. Accounts: U15359067->U133****. Memo: API Payment. Withdraw to SleduiZaMnoicom from DERGlobal Limited.. Date: 10:18 26.12.18. Batch: 240626805. The amount of 2.1 USD has been deposited to your account. Accounts: U15359067->U133****. Memo: API Payment. Withdraw to SleduiZaMnoicom from DERGlobal Limited.. Date: 21:12 25.12.18. Batch: 240590736. The amount of 2.1 USD has been deposited to your account. Accounts: U15359067->U133****. Memo: API Payment. Withdraw to SleduiZaMnoicom from DERGlobal Limited.. Date: 15:45 24.12.18. Batch: 240486388. The amount of 4.2 USD has been deposited to your account. Accounts: U15359067->U164ххх. Memo: API Payment. Withdraw from DERGlobal Limited.. Date: 20:27 23.12.18. Batch: 240421837. The amount of 2.1 USD has been deposited to your account. Accounts: U15359067->U133****. Memo: API Payment. Withdraw to SleduiZaMnoicom from DERGlobal Limited.. Date: 20:17 23.12.18. Batch: 240421182. The amount of 2.1 USD has been deposited to your account. Accounts: U15359067->U133****. Memo: API Payment. Withdraw to SleduiZaMnoicom from DERGlobal Limited.. Date: 18:21 22.12.18. Batch: 240337996. 21.12.18 21:48	Receive	Received Payment 1.05 USD from account U15359067 to account U18 Batch: 240262437. Memo: API Payment. Withdraw to pzegona from DERGlobal Limited. 21.12.18 21:48	Receive	Received Payment 1.05 USD from account U15359067 to account U1 Batch: 240262437. Memo: API Payment. Withdraw to pzegona from DERGlobal Limited. The amount of 4.6 USD has been deposited to your account. Accounts: U15359067->U133****. Memo: API Payment. Withdraw to SleduiZaMnoicom from DERGlobal Limited.. Date: 21:46 21.12.18. Batch: 240262200. The amount of 2.5 USD has been deposited to your account. Accounts: U15359067->U133****. Memo: API Payment. Withdraw to SleduiZaMnoicom from DERGlobal Limited.. Date: 05:28 21.12.18. Batch: 240183962. The amount of 2.1 USD has been deposited to your account. Accounts: U15359067->U133**** Memo: API Payment. Withdraw to SleduiZaMnoicom from DERGlobal Limited.. Date: 05:22 21.12.18. Batch: 240183444. DERGlobal Limited	Sent Payment 50.00 USD to account U15359067. Memo: Shopping Cart Payment. 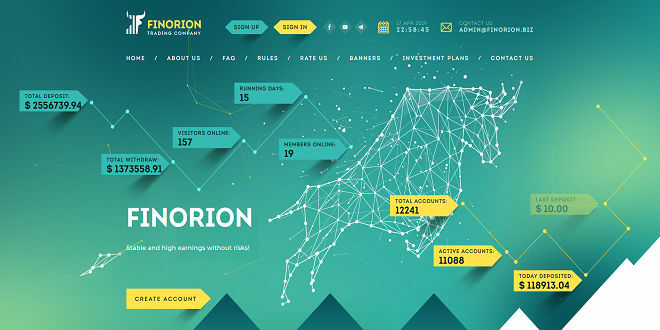 Deposit to DERGlobal Limited User pzegona. The amount of 2.1 USD has been deposited to your account. Accounts: U15359067->U133****. Memo: API Payment. Withdraw to SleduiZaMnoicom from DERGlobal Limited.. Date: 08:51 19.12.18. Batch: 240002477. The amount of 4.2 USD has been deposited to your account. Accounts: U15359067->U164ххх. Memo: API Payment. Withdraw to vk74 from DERGlobal Limited.. Date: 04:40 18.12.18. Batch: 239876274. DERGlobal Limited	Received Payment 0.63 USD from account U15359067. Memo: API Payment. Withdraw to pzegona from DERGlobal Limited. The amount of 2.1 USD has been deposited to your account. Accounts: U15359067->U133****. Memo: API Payment. Withdraw to SleduiZaMnoicom from DERGlobal Limited.. Date: 08:33 18.12.18. Batch: 239894221. The amount of 2.1 USD has been deposited to your account. Accounts: U15359067->U133****. Memo: API Payment. Withdraw to SleduiZaMnoicom from DERGlobal Limited.. Date: 04:17 17.12.18. Batch: 239770327. The amount of 2.1 USD has been deposited to your account. Accounts: U15359067->U133****. Memo: API Payment. Withdraw to SleduiZaMnoicom from DERGlobal Limited.. Date: 21:37 15.12.18. Batch: 239674157. The amount of 2.1 USD has been deposited to your account. Accounts: U15359067->U133****. Memo: API Payment. Withdraw to SleduiZaMnoicom from DERGlobal Limited.. Date: 21:25 15.12.18. Batch: 239673334. The amount of 2.2 USD has been deposited to your account. Accounts: U15359067->U133. Memo: API Payment. Withdraw to SleduiZaMnoicom from DERGlobal Limited.. Date: 23:56 13.12.18. Batch: 239499602. The amount of 2.1 USD has been deposited to your account. Accounts: U15359067->U133. Memo: API Payment. Withdraw to SleduiZaMnoicom from DERGlobal Limited.. Date: 23:53 13.12.18. Batch: 239499420. The amount of 2.1 USD has been deposited to your account. Accounts: U15359067->U133****. Memo: API Payment. Withdraw to SleduiZaMnoicom from DERGlobal Limited.. Date: 08:48 10.12.18. Batch: 239098505. The amount of 2.1 USD has been deposited to your account. Accounts: U15359067->U133****. Memo: API Payment. Withdraw to SleduiZaMnoicom from DERGlobal Limited.. Date: 09:35 09.12.18. Batch: 239008618. The amount of 2.1 USD has been deposited to your account. Accounts: U15359067->U133****. Memo: API Payment. Withdraw to SleduiZaMnoicom from DERGlobal Limited.. Date: 09:25 08.12.18. Batch: 238917902. The amount of 2.1 USD has been deposited to your account. Accounts: U15359067->U133****. Memo: API Payment. Withdraw to SleduiZaMnoicom from DERGlobal Limited.. Date: 10:21 07.12.18. Batch: 238825077. The amount of 2.1 USD has been deposited to your account. Accounts: U15359067->U1339252. Memo: API Payment. Withdraw to SleduiZaMnoicom from DERGlobal Limited.. Date: 07:19 06.12.18. Batch: 238702519. The amount of 2.1 USD has been deposited to your account. Accounts: U15359067->U133****. Memo: API Payment. Withdraw to SleduiZaMnoicom from DERGlobal Limited.. Date: 15:30 05.12.18. Batch: 238645482. The amount of 2.1 USD has been deposited to your account. Accounts: U15359067->U133****. Memo: API Payment. Withdraw to SleduiZaMnoicom from DERGlobal Limited.. Date: 11:33 04.12.18. Batch: 238507584. The amount of 2.1 USD has been deposited to your account. Accounts: U15359067->U133****. Memo: API Payment. Withdraw to SleduiZaMnoicom from DERGlobal Limited.. Date: 12:47 02.12.18. Batch: 238299975. The amount of 2.6 USD has been deposited to your account. Accounts: U15359067->U133****. Memo: API Payment. Withdraw to SleduiZaMnoicom from DERGlobal Limited.. Date: 04:39 01.12.18. Batch: 237832039. The amount of 2.5 USD has been deposited to your account. Accounts: U15359067->U133****. Memo: API Payment. Withdraw to SleduiZaMnoicom from DERGlobal Limited.. Date: 04:38 01.12.18. Batch: 237831971. The amount of 2.1 USD has been deposited to your account. Accounts: U15359067->U133****. Memo: API Payment. Withdraw to SleduiZaMnoicom from DERGlobal Limited.. Date: 04:36 01.12.18. Batch: 237831789. DERGlobal Limited	+52.08	Received Payment 52.08 USD from account U15359067. Memo: API Payment. Withdraw to grafinya from DERGlobal Limited. The amount of 1.5 USD has been deposited to your account. Accounts: U15359067->U133**** Memo: API Payment. Withdraw to SleduiZaMnoicom from DERGlobal Limited.. Date: 21:35 28.11.18. Batch: 237610327. The amount of 2 USD has been deposited to your account. Accounts: U2038520->U133****. Memo: API Payment. hyippatrol RCB DerGlobal.. Date: 18:08 28.11.18. Batch: 237593410. The amount of 100 USD has been withdrawn from your account. Accounts: U1339252->U153****. Memo: Shopping Cart Payment. Deposit to DERGlobal Limited User SleduiZaMnoicom.. Date: 18:05 28.11.18. Batch: 237593122. Выплата и возврат депозита: The amount of 61.26 USD has been deposited to your account. Accounts: U15359067->U110*****. Memo: API Payment. Withdraw to Nicusya from DERGlobal Limited.. Date: 06:02 28.10.18. Batch: 233640344. The amount of 10.5 USD has been deposited to your account. Accounts: U15359067->U164ххх. Memo: API Payment. Withdraw from DERGlobal Limited.. Date: 00:11 27.10.18. Batch: 233537026. Выплата:The amount of 2.1 USD has been deposited to your account. Accounts: U15359067->U6518888. Memo: API Payment. Withdraw to Nika288 from DERGlobal Limited.. Date: 00:08 27.10.18. Batch: 233536768. Выплата: The amount of 1.26 USD has been deposited to your account. Accounts: U15359067->U110*****. Memo: API Payment. Withdraw to Nicusya from DERGlobal Limited.. Date: 00:08 27.10.18. Batch: 233536781. Выплата: The amount of 1.26 USD has been deposited to your account. Accounts: U15359067->U110*****. Memo: API Payment. Withdraw to Nicusya from DERGlobal Limited.. Date: 22:00 25.10.18. Batch: 233424367. Выплата: The amount of 1.26 USD has been deposited to your account. Accounts: U15359067->U110*****. Memo: API Payment. Withdraw to Nicusya from DERGlobal Limited.. Date: 12:13 25.10.18. Batch: 233367274. 1.15 USD. Accounts: U15359067->U5688888. Date: 17:54 24.10.18. Batch: 233289440. Выплата и возврат депозита: The amount of 102.1 USD has been deposited to your account. Accounts: U15359067->U110*****. Memo: API Payment. Withdraw to Nicusya from DERGlobal Limited.. Date: 18:16 24.10.18. Batch: 233292408. The amount of 102 USD has been deposited to your account. Accounts: U15359067->U133****. Memo: API Payment. Withdraw to SleduiZaMnoicom from DERGlobal Limited.. Date: 17:54 24.10.18. Batch: 233289477. Выплата DERGlobal: The amount of 2.1 USD has been deposited to your account. Accounts: U15359067->U981****. Memo: API Payment. Withdraw to investingnp from DERGlobal Limited.. Date: 18:15 24.10.18. Batch: 233292085. Выплата DERGlobal: The amount of 2.1 USD has been deposited to your account. Accounts: U15359067->U981****. Memo: API Payment. Withdraw to investingnp from DERGlobal Limited.. Date: 23:28 23.10.18. Batch: 233195895. Выплата: The amount of 1.26 USD has been deposited to your account. Accounts: U15359067->U110*****. Memo: API Payment. Withdraw to Nicusya from DERGlobal Limited.. Date: 00:19 24.10.18. Batch: 233198962. Выплата: The amount of 3.36 USD has been deposited to your account. Accounts: U15359067->U110*****. Memo: API Payment. Withdraw to Nicusya from DERGlobal Limited.. Date: 10:08 23.10.18. Batch: 233109128. The amount of 2.1 USD has been deposited to your account. Accounts: U15359067->U133****. Memo: API Payment. Withdraw to SleduiZaMnoicom from DERGlobal Limited.. Date: 10:09 23.10.18. Batch: 233109245. The amount of 12.6 USD has been deposited to your account. Accounts: U15359067->U164ххх. Memo: API Payment. Withdraw to vk74 from DERGlobal Limited.. Date: 22:52 21.10.18. Batch: 232949043. Выплата DERGlobal: The amount of 2.1 USD has been deposited to your account. Accounts: U15359067->U981****. Memo: API Payment. Withdraw to investingnp from DERGlobal Limited.. Date: 17:32 22.10.18. Batch: 233038602. Выплата DERGlobal: The amount of 2.1 USD has been deposited to your account. Accounts: U15359067->U981****. Memo: API Payment. Withdraw to investingnp from DERGlobal Limited.. Date: 22:21 21.10.18. Batch: 232945878. Выплата: The amount of 3.36 USD has been deposited to your account. Accounts: U15359067->U110*****. Memo: API Payment. Withdraw to Nicusya from DERGlobal Limited.. Date: 17:33 22.10.18. Batch: 233038934. The amount of 2.1 USD has been deposited to your account. Accounts: U15359067->U133****. Memo: API Payment. Withdraw to SleduiZaMnoicom from DERGlobal Limited.. Date: 17:26 22.10.18. Batch: 233037613. The amount of 2.1 USD has been deposited to your account. Accounts: U15359067->U133**** Memo: API Payment. Withdraw to SleduiZaMnoicom from DERGlobal Limited.. Date: 22:44 21.10.18. Batch: 232947856. Выплата: The amount of 3.36 USD has been deposited to your account. Accounts: U15359067->U110*****. Memo: API Payment. Withdraw to Nicusya from DERGlobal Limited.. Date: 22:23 21.10.18. Batch: 232946246. Выплата: The amount of 3.36 USD has been deposited to your account. Accounts: U15359067->U110*****. Memo: API Payment. Withdraw to Nicusya from DERGlobal Limited.. Date: 22:01 20.10.18. Batch: 232851779. Выплата DERGlobal: The amount of 2.1 USD has been deposited to your account. Accounts: U15359067->U981****. Memo: API Payment. Withdraw to investingnp from DERGlobal Limited.. Date: 04:20 20.10.18. Batch: 232763015. The amount of 2.1 USD has been deposited to your account. Accounts: U15359067->U133****. Memo: API Payment. Withdraw to SleduiZaMnoicom from DERGlobal Limited.. Date: 04:31 20.10.18. Batch: 232764733. Выплата: The amount of 3.36 USD has been deposited to your account. Accounts: U15359067->U110*****. Memo: API Payment. Withdraw to Nicusya from DERGlobal Limited.. Date: 04:20 20.10.18. Batch: 232763196. Выплата DERGlobal: The amount of 2.1 USD has been deposited to your account. Accounts: U15359067->U981****. Memo: API Payment. Withdraw to investingnp from DERGlobal Limited.. Date: 00:06 19.10.18. Batch: 232642095. The amount of 2.1 USD has been deposited to your account. Accounts: U15359067->U133****. Memo: API Payment. Withdraw to SleduiZaMnoicom from DERGlobal Limited.. Date: 00:14 19.10.18. Batch: 232642809. Выплата: The amount of 3.36 USD has been deposited to your account. Accounts: U15359067->U110*****. Memo: API Payment. Withdraw to Nicusya from DERGlobal Limited.. Date: 00:22 19.10.18. Batch: 232643583. Выплата DERGlobal: The amount of 2.1 USD has been deposited to your account. Accounts: U15359067->U981****. Memo: API Payment. Withdraw to investingnp from DERGlobal Limited.. Date: 00:36 18.10.18. Batch: 232532709. The amount of 2.8 USD has been deposited to your account. Accounts: U15359067->U133****. Memo: API Payment. Withdraw to SleduiZaMnoicom from DERGlobal Limited.. Date: 00:25 18.10.18. Batch: 232531033. Выплата: The amount of 3.36 USD has been deposited to your account. Accounts: U15359067->U110*****. Memo: API Payment. Withdraw to Nicusya from DERGlobal Limited.. Date: 00:36 18.10.18. Batch: 232532674. Выплата DERGlobal: The amount of 2.1 USD has been deposited to your account. Accounts: U15359067->U981****. Memo: API Payment. Withdraw to investingnp from DERGlobal Limited.. Date: 01:07 17.10.18. Batch: 232408677. Выплата: The amount of 3.36 USD has been deposited to your account. Accounts: U15359067->U110*****. Memo: API Payment. Withdraw to Nicusya from DERGlobal Limited.. Date: 01:12 17.10.18. Batch: 232409594. The amount of 12.6 USD has been deposited to your account. Accounts: U15359067->U164ххх. Memo: API Payment. Withdraw to vk74 from DERGlobal Limited.. Date: 02:42 16.10.18. Batch: 232287044. Выплата DERGlobal: The amount of 2.1 USD has been deposited to your account. Accounts: U15359067->U981****. Memo: API Payment. Withdraw to investingnp from DERGlobal Limited.. Date: 01:50 16.10.18. Batch: 232283577. The amount of 2.1 USD has been deposited to your account. Accounts: U15359067->U133****. Memo: API Payment. Withdraw to SleduiZaMnoicom from DERGlobal Limited.. Date: 02:16 16.10.18. Batch: 232285746. The amount of 3.1 USD has been deposited to your account. Accounts: U15359067->U133****. Memo: API Payment. Withdraw to SleduiZaMnoicom from DERGlobal Limited.. Date: 01:52 16.10.18. Batch: 232283864. Выплата: The amount of 8.82 USD has been deposited to your account. Accounts: U15359067->U110*****. Memo: API Payment. Withdraw to Nicusya from DERGlobal Limited.. Date: 01:51 16.10.18. Batch: 232283637. Выплата DERGlobal: The amount of 2.1 USD has been deposited to your account. Accounts: U15359067->U981****. Memo: API Payment. Withdraw to investingnp from DERGlobal Limited.. Date: 21:15 14.10.18. Batch: 232150312. Выплата: The amount of 3.36 USD has been deposited to your account. Accounts: U15359067->U110*****. Memo: API Payment. Withdraw to Nicusya from DERGlobal Limited.. Date: 06:16 13.10.18. Batch: 231986145. 1.16 USD Accounts: U15359067->U5688888. Date: 22:11 14.10.18. Batch: 232154942. 2.31 USD. Accounts: U15359067->U5688888.Date: 21:13 14.10.18. Batch: 232149845. The amount of 100 USD has been withdrawn from your account. Accounts: U133*****->U15359067. Memo: Shopping Cart Payment. Deposit to DERGlobal Limited User RomaJe.. Date: 07:07 14.10.18. Batch: 232083909. Выплата DERGlobal: The amount of 2.1 USD has been deposited to your account. Accounts: U15359067->U981****. Memo: API Payment. Withdraw to investingnp from DERGlobal Limited.. Date: 20:33 13.10.18. Batch: 232058974. 2.31 USD. Accounts: U15359067->U5688888. Date: 14:54 12.10.18. Batch: 231921779. Выплата DERGlobal: The amount of 2.1 USD has been deposited to your account. Accounts: U15359067->U981****. Memo: API Payment. Withdraw to investingnp from DERGlobal Limited.. Date: 15:05 12.10.18. Batch: 231924048. Выплата DERGlobal: The amount of 2.1 USD has been deposited to your account. Accounts: U15359067->U981****. Memo: API Payment. Withdraw to investingnp from DERGlobal Limited.. Date: 22:40 11.10.18. Batch: 231848208. The amount of 3.1 USD has been deposited to your account. Accounts: U15359067->U133****. Memo: API Payment. Withdraw to SleduiZaMnoicom from DERGlobal Limited.. Date: 14:55 12.10.18. Batch: 231922049. Выплата: The amount of 3.36 USD has been deposited to your account. Accounts: U15359067->U110*****. Memo: API Payment. Withdraw to Nicusya from DERGlobal Limited.. Date: 22:59 11.10.18. Batch: 231850408. The amount of 2.1 USD has been deposited to your account. Accounts: U15359067->U133****. Memo: API Payment. Withdraw to SleduiZaMnoicom from DERGlobal Limited.. Date: 22:39 10.10.18. Batch: 231727466. The amount of 2.1 USD has been deposited to your account. Accounts: U15359067->U133****. Memo: API Payment. Withdraw to SleduiZaMnoicom from DERGlobal Limited.. Date: 22:12 10.10.18. Batch: 231725012. Выплата: The amount of 3.36 USD has been deposited to your account. Accounts: U15359067->U110*****. Memo: API Payment. Withdraw to Nicusya from DERGlobal Limited.. Date: 20:48 09.10.18. Batch: 231587796. Выплата: The amount of 3.36 USD has been deposited to your account. Accounts: U15359067->U110*****. Memo: API Payment. Withdraw to Nicusya from DERGlobal Limited.. Date: 20:06 09.10.18. Batch: 231581600. Выплата DERGlobal: The amount of 2.1 USD has been deposited to your account. Accounts: U15359067->U981****. Memo: API Payment. Withdraw to investingnp from DERGlobal Limited.. Date: 20:27 09.10.18. Batch: 231584370. The amount of 2.1 USD has been deposited to your account. Accounts: U15359067->U133****. Memo: API Payment. Withdraw to SleduiZaMnoicom from DERGlobal Limited.. Date: 20:06 09.10.18. Batch: 231581491. Выплата DERGlobal: The amount of 2.1 USD has been deposited to your account. Accounts: U15359067->U981****. Memo: API Payment. Withdraw to investingnp from DERGlobal Limited.. Date: 16:48 08.10.18. Batch: 231431945. Выплата DERGlobal: The amount of 2.1 USD has been deposited to your account. Accounts: U15359067->U981****. Memo: API Payment. Withdraw to investingnp from DERGlobal Limited.. Date: 16:51 07.10.18. Batch: 231311294. The amount of 2.7 USD has been deposited to your account. Accounts: U15359067->U133**** Memo: API Payment. Withdraw to SleduiZaMnoicom from DERGlobal Limited.. Date: 16:43 08.10.18. Batch: 231430926. Выплата: The amount of 2.1 USD has been deposited to your account. Accounts: U15359067->U110*****. Memo: API Payment. Withdraw to Nicusya from DERGlobal Limited.. Date: 15:53 08.10.18. Batch: 231423540. The amount of 2.1 USD has been deposited to your account. Accounts: U15359067->U133****Memo: API Payment. Withdraw to SleduiZaMnoicom from DERGlobal Limited.. Date: 16:43 07.10.18. Batch: 231309459. The amount of 2.1 USD has been deposited to your account. Accounts: U15359067->U133****. Memo: API Payment. Withdraw to SleduiZaMnoicom from DERGlobal Limited.. Date: 12:05 06.10.18. Batch: 231182816. Выплата DERGlobal: The amount of 2.1 USD has been deposited to your account. Accounts: U15359067->U981****. Memo: API Payment. Withdraw to investingnp from DERGlobal Limited.. Date: 12:06 06.10.18. Batch: 231183030. Выплата DERGlobal: The amount of 2.1 USD has been deposited to your account. Accounts: U15359067->U981****. Memo: API Payment. Withdraw to investingnp from DERGlobal Limited.. Date: 11:41 06.10.18. Batch: 231178872. Выплата: The amount of 2.1 USD has been deposited to your account. Accounts: U15359067->U110*****. Memo: API Payment. Withdraw to Nicusya from DERGlobal Limited.. Date: 12:05 06.10.18. Batch: 231182797. Выплата: The amount of 4.2 USD has been deposited to your account. Accounts: U15359067->U110*****. Memo: API Payment. Withdraw to Nicusya from DERGlobal Limited.. Date: 11:41 06.10.18. Batch: 231178795. Выплата DERGlobal: The amount of 2.1 USD has been deposited to your account. Accounts: U15359067->U981****. Memo: API Payment. Withdraw to investingnp from DERGlobal Limited.. Date: 07:44 05.10.18. Batch: 231039130. The amount of 2.1 USD has been deposited to your account. Accounts: U15359067->U133****. Memo: API Payment. Withdraw to SleduiZaMnoicom from DERGlobal Limited.. Date: 07:33 05.10.18. Batch: 231037416. Выплата DERGlobal: The amount of 2.1 USD has been deposited to your account. Accounts: U15359067->U981****. Memo: API Payment. Withdraw to investingnp from DERGlobal Limited.. Date: 02:27 04.10.18. Batch: 230899123. The amount of 2.1 USD has been deposited to your account. Accounts: U15359067->U133****. Memo: API Payment. Withdraw to SleduiZaMnoicom from DERGlobal Limited.. Date: 00:21 04.10.18. Batch: 230894756. Выплата: The amount of 2.1 USD has been deposited to your account. Accounts: U15359067->U110*****. Memo: API Payment. Withdraw to Nicusya from DERGlobal Limited.. Date: 02:28 04.10.18. Batch: 230899342. Выплата DERGlobal: The amount of 2.1 USD has been deposited to your account. Accounts: U15359067->U981****. Memo: API Payment. Withdraw to investingnp from DERGlobal Limited.. Date: 00:02 03.10.18. Batch: 230776346. Выплата:The amount of 2.1 USD has been deposited to your account. Accounts: U15359067->U110*****. Memo: API Payment. Withdraw to Nicusya from DERGlobal Limited.. Date: 00:01 03.10.18. Batch: 230776311. Выплата DERGlobal: The amount of 2.1 USD has been deposited to your account. Accounts: U15359067->U981****. Memo: API Payment. Withdraw to investingnp from DERGlobal Limited.. Date: 21:36 01.10.18. Batch: 230651237. The amount of 2.1 USD has been deposited to your account. Accounts: U15359067->U133****. Memo: API Payment. Withdraw to SleduiZaMnoicom from DERGlobal Limited.. Date: 22:17 01.10.18. Batch: 230655622. Выплата: The amount of 2.1 USD has been deposited to your account. Accounts: U15359067->U110*****. Memo: API Payment. Withdraw to Nicusya from DERGlobal Limited.. Date: 21:35 01.10.18. Batch: 230650989. The amount of 2.1 USD has been deposited to your account. Accounts: U15359067->U133****. Memo: API Payment. Withdraw to SleduiZaMnoicom from DERGlobal Limited.. Date: 20:48 30.09.18. Batch: 230193495. The amount of 2.1 USD has been deposited to your account. Accounts: U15359067->U133****. Memo: API Payment. Withdraw to SleduiZaMnoicom from DERGlobal Limited.. Date: 20:26 30.09.18. Batch: 230190287. Выплата:The amount of 2.1 USD has been deposited to your account. Accounts: U15359067->U110*****. Memo: API Payment. Withdraw to Nicusya from DERGlobal Limited.. Date: 20:28 30.09.18. Batch: 230190630. Выплата: The amount of 2.1 USD has been deposited to your account. Accounts: U15359067->U110*****. Memo: API Payment. Withdraw to Nicusya from DERGlobal Limited.. Date: 14:55 29.09.18. Batch: 230060867. Выплата:The amount of 2.1 USD has been deposited to your account. Accounts: U15359067->U110*****. Memo: API Payment. Withdraw to Nicusya from DERGlobal Limited.. Date: 11:08 29.09.18. Batch: 230038014. Выплата DERGlobal: The amount of 2.1 USD has been deposited to your account. Accounts: U15359067->U981****. Memo: API Payment. Withdraw to investingnp from DERGlobal Limited.. Date: 14:55 29.09.18. Batch: 230060883. Выплата DERGlobal: The amount of 2.1 USD has been deposited to your account. Accounts: U15359067->U981****. Memo: API Payment. Withdraw to investingnp from DERGlobal Limited.. Date: 10:35 29.09.18. Batch: 230035065. The amount of 2.1 USD has been deposited to your account. Accounts: U15359067->U133****. Memo: API Payment. Withdraw to SleduiZaMnoicom from DERGlobal Limited.. Date: 14:08 29.09.18. Batch: 230055623. The amount of 2.1 USD has been deposited to your account. Accounts: U15359067->U133**** Memo: API Payment. Withdraw to SleduiZaMnoicom from DERGlobal Limited.. Date: 11:52 29.09.18. Batch: 230042797. Выплата DERGlobal: The amount of 2.1 USD has been deposited to your account. Accounts: U15359067->U981****. Memo: API Payment. Withdraw to investingnp from DERGlobal Limited.. Date: 02:53 28.09.18. Batch: 229891551. Выплата DERGlobal: The amount of 2.1 USD has been deposited to your account. Accounts: U15359067->U981****. Memo: API Payment. Withdraw to investingnp from DERGlobal Limited.. Date: 21:41 26.09.18. Batch: 229762510. Выплата:The amount of 2.1 USD has been deposited to your account. Accounts: U15359067->U110*****. Memo: API Payment. Withdraw to Nicusya from DERGlobal Limited.. Date: 02:48 28.09.18. Batch: 229890832. The amount of 2.1 USD has been deposited to your account. Accounts: U15359067->U133****. Memo: API Payment. Withdraw to SleduiZaMnoicom from DERGlobal Limited.. Date: 21:53 26.09.18. Batch: 229764605. Выплата: The amount of 2.1 USD has been deposited to your account. Accounts: U15359067->U110*****. Memo: API Payment. Withdraw to Nicusya from DERGlobal Limited.. Date: 21:41 26.09.18. Batch: 229762414. Выплата DERGlobal: The amount of 2.1 USD has been deposited to your account. Accounts: U15359067->U981****. Memo: API Payment. Withdraw to investingnp from DERGlobal Limited.. Date: 21:38 25.09.18. Batch: 229647131. Выплата:The amount of 2.1 USD has been deposited to your account. Accounts: U15359067->U110*****. Memo: API Payment. Withdraw to Nicusya from DERGlobal Limited.. Date: 21:30 25.09.18. Batch: 229645538. Выплата: The amount of 2.1 USD has been deposited to your account. Accounts: U15359067->U110*****. Memo: API Payment. Withdraw to Nicusya from DERGlobal Limited.. Date: 19:46 24.09.18. Batch: 229515299. ✅DerGlobal — The amount of 2.1 USD has been deposited to your account. Accounts: U15359067->U981****. Memo: API Payment. Withdraw to investingnp from DERGlobal Limited.. Date: 19:29 24.09.18. Batch: 229513753. The amount of 2.1 USD has been deposited to your account. Accounts: U15359067->U133****. Memo: API Payment. Withdraw to SleduiZaMnoicom from DERGlobal Limited.. Date: 18:52 24.09.18. Batch: 229509016. Выплата: The amount of 2.1 USD has been deposited to your account. Accounts: U15359067->U110*****. Memo: API Payment. Withdraw to Nicusya from DERGlobal Limited.. Date: 17:45 23.09.18. Batch: 229384246. Выплата DERGlobal: The amount of 2.1 USD has been deposited to your account. Accounts: U15359067->U981****. Memo: API Payment. Withdraw to investingnp from DERGlobal Limited.. Date: 17:45 23.09.18. Batch: 229384349. Выплата DERGlobal: The amount of 2.1 USD has been deposited to your account. Accounts: U15359067->U981****. Memo: API Payment. Withdraw to investingnp from DERGlobal Limited.. Date: 17:05 23.09.18. Batch: 229379215. The amount of 2.1 USD has been deposited to your account. Accounts: U15359067->U133****. Memo: API Payment. Withdraw to SleduiZaMnoicom from DERGlobal Limited.. Date: 17:16 23.09.18. Batch: 229381254. Выплата: The amount of 2.1 USD has been deposited to your account. Accounts: U15359067->U110***** Memo: API Payment. Withdraw to Nicusya from DERGlobal Limited.. Date: 11:44 22.09.18. Batch: 229257280. Выплата DERGlobal: The amount of 2.1 USD has been deposited to your account. Accounts: U15359067->U981****. Memo: API Payment. Withdraw to investingnp from DERGlobal Limited.. Date: 11:44 22.09.18. Batch: 229257234. Выплата: The amount of 2.1 USD has been deposited to your account. Accounts: U15359067->U110*****. Memo: API Payment. Withdraw to Nicusya from DERGlobal Limited.. Date: 11:39 22.09.18. Batch: 229256502. Received Payment 12.6 USD from account U15359067 to account U164ххх. Batch: 229255624. Memo: API Payment. Withdraw to vk74 from DERGlobal Limited. The amount of 2.1 USD has been deposited to your account. Accounts: U15359067->U1339****. Memo: API Payment. Withdraw to SleduiZaMnoicom from DERGlobal Limited.. Date: 11:38 22.09.18. Batch: 229256162. The amount of 2.1 USD has been deposited to your account. Accounts: U15359067->U133**** Memo: API Payment. Withdraw to SleduiZaMnoicom from DERGlobal Limited.. Date: 19:59 21.09.18. Batch: 229199527. 1.15 USD U15359067-> U5688888. Batch: 229035583. DERGlobal Limited. 1.16 USD U15359067-> U5688888. Batch: 229030337.DERGlobal Limited. Выплата: The amount of 2.1 USD has been deposited to your account. Accounts: U15359067->U110*****. Memo: API Payment. Withdraw to Nicusya from DERGlobal Limited.. Date: 11:54 20.09.18. Batch: 229036812. Выплата DERGlobal: The amount of 2.2 USD has been deposited to your account. Accounts: U15359067->U981****. Memo: API Payment. Withdraw to investingnp from DERGlobal Limited.. Date: 11:53 20.09.18. Batch: 229036618. Выплата DERGlobal: The amount of 2.1 USD has been deposited to your account. Accounts: U15359067->U981****. Memo: API Payment. Withdraw to investingnp from DERGlobal Limited.. Date: 11:16 20.09.18. Batch: 229031585. Выплата: The amount of 2.1 USD has been deposited to your account. Accounts: U15359067->U110*****. Memo: API Payment. Withdraw to Nicusya from DERGlobal Limited.. Date: 11:15 20.09.18. Batch: 229031563. Выплата: The amount of 2.1 USD has been deposited to your account. Accounts: U15359067->U110*****. Memo: API Payment. Withdraw to Nicusya from DERGlobal Limited.. Date: 11:04 20.09.18. Batch: 229029611. The amount of 2.1 USD has been deposited to your account. Accounts: U15359067->U133****. Memo: API Payment. Withdraw to SleduiZaMnoicom from DERGlobal Limited.. Date: 11:56 20.09.18. Batch: 229037161. The amount of 2.3 USD has been deposited to your account. Accounts: U15359067->U133****. Memo: API Payment. Withdraw to SleduiZaMnoicom from DERGlobal Limited.. Date: 11:17 20.09.18. Batch: 229031940. Memo : API Payment. Withdraw from DERGlobal Limited. Выплата DERGlobal: The amount of 2.1 USD has been deposited to your account. Accounts: U15359067->U981****. Memo: API Payment. Withdraw to investingnp from DERGlobal Limited.. Date: 10:40 19.09.18. Batch: 228905013. The amount of 2.1 USD has been deposited to your account. Accounts: U15359067->U133****. Memo: API Payment. Withdraw to SleduiZaMnoicom from DERGlobal Limited.. Date: 10:35 19.09.18. Batch: 228904247. Выплата: The amount of 2.1 USD has been deposited to your account. Accounts: U15359067->U110*****. Memo: API Payment. Withdraw to Nicusya from DERGlobal Limited.. Date: 17:16 17.09.18. Batch: 228695986. Выплата: The amount of 2.1 USD has been deposited to your account. Accounts: U15359067->U110*****. Memo: API Payment. Withdraw to Nicusya from DERGlobal Limited.. Date: 12:17 17.09.18. Batch: 228653744. The amount of 2.1 USD has been deposited to your account. Accounts: U15359067->U1339252. Memo: API Payment. Withdraw to SleduiZaMnoicom from DERGlobal Limited.. Date: 13:16 17.09.18. Batch: 228663367. Batch: 228503247. Memo: API Payment. Withdraw to vk74 from DERGlobal Limited. Выплата: The amount of 2.1 USD has been deposited to your account. Accounts: U15359067->U110*****. Memo: API Payment. Withdraw to Nicusya from DERGlobal Limited.. Date: 01:15 16.09.18. Batch: 228501336. The amount of 2.1 USD has been deposited to your account. Accounts: U15359067->U133****. Memo: API Payment. Withdraw to SleduiZaMnoicom from DERGlobal Limited.. Date: 01:39 16.09.18. Batch: 228503195. The amount of 4.2 USD has been deposited to your account. Accounts: U15359067->U1339252. Memo: API Payment. Withdraw to SleduiZaMnoicom from DERGlobal Limited.. Date: 11:15 15.09.18. Batch: 228434726. Выплата: The amount of 2.1 USD has been deposited to your account. Accounts: U15359067->U110*****. Memo: API Payment. Withdraw to Nicusya from DERGlobal Limited.. Date: 11:15 15.09.18. Batch: 228434680. 2.31 USD U15359067 -> U5655678. Batch: 228278869. DERGlobal Limited. The amount of 2.2 USD has been deposited to your account. Accounts: U15359067->U133****. Memo: API Payment. Withdraw to SleduiZaMnoicom from DERGlobal Limited.. Date: 01:20 14.09.18. Batch: 228278030. Выплата6 The amount of 2.1 USD has been deposited to your account. Accounts: U15359067->U110*****. Memo: API Payment. Withdraw to Nicusya from DERGlobal Limited.. Date: 13:48 13.09.18. Batch: 228220877. Выплата: The amount of 2.1 USD has been deposited to your account. Accounts: U15359067->U110*****. Memo: API Payment. Withdraw to Nicusya from DERGlobal Limited.. Date: 01:05 13.09.18. Batch: 228159610. 13.09.18 13:45	Receive	Received Payment 1.26 USD from account U15359067 to account U4*. Batch: 228220484. Memo: API Payment. Withdraw to FIFARA from DERGlobal Limited. 13.09.18 13:21	Receive	Received Payment 1.26 USD from account U15359067 to account U4*. Batch: 228217539. Memo: API Payment. Withdraw to FIFARA from DERGlobal Limited. The amount of 2.1 USD has been deposited to your account. Accounts: U15359067->U133****. Memo: API Payment. Withdraw to SleduiZaMnoicom from DERGlobal Limited.. Date: 00:52 13.09.18. Batch: 228158363. Выплаты: The amount of 2.1 USD has been deposited to your account. Accounts: U15359067->U110*****. Memo: API Payment. Withdraw to Nicusya from DERGlobal Limited.. Date: 19:12 11.09.18. Batch: 228012403. The amount of 2.1 USD has been deposited to your account. Accounts: U15359067->U110*****. Memo: API Payment. Withdraw to Nicusya from DERGlobal Limited.. Date: 19:24 11.09.18. Batch: 228014483. The amount of 2.1 USD has been deposited to your account. Accounts: U15359067->U133****. Memo: API Payment. Withdraw to SleduiZaMnoicom from DERGlobal Limited.. Date: 19:13 11.09.18. Batch: 228012505. Batch: 227825923. Memo: API Payment. Withdraw to vk74 from DERGlobal Limited. Выплата DERGlobal: The amount of 2.1 USD has been deposited to your account. Accounts: U15359067->U981****. Memo: API Payment. Withdraw to investingnp from DERGlobal Limited.. Date: 10:31 10.09.18. Batch: 227827961. Выплата DERGlobal: The amount of 2.1 USD has been deposited to your account. Accounts: U15359067->U981****. Memo: API Payment. Withdraw to investingnp from DERGlobal Limited.. Date: 09:56 10.09.18. Batch: 227822883. The amount of 2.2 USD has been deposited to your account. Accounts: U15359067->U133****. Memo: API Payment. Withdraw to SleduiZaMnoicom from DERGlobal Limited.. Date: 10:17 10.09.18. Batch: 227826423. 10.09.18 10:15	Receive	Received Payment 1.26 USD from account U15359067 to account U4*. Batch: 227825944. Memo: API Payment. Withdraw to FIFARA from DERGlobal Limited. 10.09.18 09:52	Receive	Received Payment 1.26 USD from account U15359067 to account U4*. Batch: 227822158. Memo: API Payment. Withdraw to FIFARA from DERGlobal Limited. Депозит: The amount of 100 USD has been withdrawn from your account. Accounts: U110*****->U15359067. Memo: Shopping Cart Payment. Deposit to DERGlobal Limited User Nicusya.. Date: 08:05 09.09.18. Batch: 227705919. Выплата DERGlobal: The amount of 2.1 USD has been deposited to your account. Accounts: U15359067->U981****. Memo: API Payment. Withdraw to investingnp from DERGlobal Limited.. Date: 19:44 08.09.18. Batch: 227671812. Выплата DERGlobal: The amount of 2.1 USD has been deposited to your account. Accounts: U15359067->U981****. Memo: API Payment. Withdraw to investingnp from DERGlobal Limited.. Date: 18:26 08.09.18. Batch: 227664354. The amount of 2.2 USD has been deposited to your account. Accounts: U15359067->U133****. Memo: API Payment. Withdraw to SleduiZaMnoicom from DERGlobal Limited.. Date: 19:36 08.09.18. Batch: 227670954. The amount of 2.1 USD has been deposited to your account. Accounts: U15359067->U133****. Memo: API Payment. Withdraw to SleduiZaMnoicom from DERGlobal Limited.. Date: 19:43 08.09.18. Batch: 227671574. The amount of 2.1 USD has been deposited to your account. Accounts: U15359067->U133****. Memo: API Payment. Withdraw to SleduiZaMnoicom from DERGlobal Limited.. Date: 08:05 07.09.18. Batch: 227498618. Выплата DERGlobal: The amount of 2.1 USD has been deposited to your account. Accounts: U15359067->U981****. Memo: API Payment. Withdraw to investingnp from DERGlobal Limited.. Date: 09:27 06.09.18. Batch: 227390918. Выплата DERGlobal: The amount of 2.12 USD has been deposited to your account. Accounts: U15359067->U981****. Memo: API Payment. Withdraw to investingnp from DERGlobal Limited.. Date: 08:35 06.09.18. Batch: 227384042. The amount of 2.45 USD has been deposited to your account. Accounts: U15359067->U133****. Memo: API Payment. Withdraw to SleduiZaMnoicom from DERGlobal Limited.. Date: 08:52 06.09.18. Batch: 227386808. The amount of 2.1 USD has been deposited to your account. Accounts: U15359067->U133****. Memo: API Payment. Withdraw to SleduiZaMnoicom from DERGlobal Limited.. Date: 08:57 06.09.18. Batch: 227387497. Batch: 227209212. Memo: API Payment. Withdraw to vk74 from DERGlobal Limited. The amount of 2.1 USD has been deposited to your account. Accounts: U15359067->U133****. Memo: API Payment. Withdraw to SleduiZaMnoicom from DERGlobal Limited.. Date: 18:08 04.09.18. Batch: 227208389. The amount of 2.1 USD has been deposited to your account. Accounts: U15359067->U133****. Memo: API Payment. Withdraw to SleduiZaMnoicom from DERGlobal Limited.. Date: 18:00 04.09.18. Batch: 227206928. Выплата DERGlobal: The amount of 2.1 USD has been deposited to your account. Accounts: U15359067->U981****. Memo: API Payment. Withdraw to investingnp from DERGlobal Limited.. Date: 18:19 04.09.18. Batch: 227210368. Выплата DERGlobal: The amount of 2.1 USD has been deposited to your account. Accounts: U15359067->U981****. Memo: API Payment. Withdraw to investingnp from DERGlobal Limited.. Date: 17:53 04.09.18. Batch: 227205954. 04.09.18 18:03	Receive	Received Payment 1.26 USD from account U15359067 to account U4*. Batch: 227207473. Memo: API Payment. Withdraw to FIFARA from DERGlobal Limited. Выплата: The amount of 2.1 USD has been deposited to your account. Accounts: U15359067->U981****. Memo: API Payment. Withdraw to investingnp from DERGlobal Limited.. Date: 02:55 03.09.18. Batch: 227012291. Выплата: The amount of 2.1 USD has been deposited to your account. Accounts: U15359067->U981****. Memo: API Payment. Withdraw to investingnp from DERGlobal Limited.. Date: 02:50 03.09.18. Batch: 227011618. The amount of 4.2 USD has been deposited to your account. Accounts: U15359067->U133***. Memo: API Payment. Withdraw to SleduiZaMnoicom from DERGlobal Limited.. Date: 02:55 03.09.18. Batch: 227012359. Выплата DERGlobal: The amount of 2.1 USD has been deposited to your account. Accounts: U15359067->U981****. Memo: API Payment. Withdraw to investingnp from DERGlobal Limited.. Date: 07:33 02.09.18. Batch: 226934590. The amount of 2.1 USD has been deposited to your account. Accounts: U15359067->U133****. Memo: API Payment. Withdraw to SleduiZaMnoicom from DERGlobal Limited.. Date: 07:33 02.09.18. Batch: 226934655. Выплата DERGlobal: The amount of 2.1 USD has been deposited to your account. Accounts: U15359067->U981****. Memo: API Payment. Withdraw to investingnp from DERGlobal Limited.. Date: 20:39 30.08.18. Batch: 226375330. The amount of 2.1 USD has been deposited to your account. Accounts: U15359067->U133****. Memo: API Payment. Withdraw to SleduiZaMnoicom from DERGlobal Limited.. Date: 19:50 30.08.18. Batch: 226369672. Выплата DERGlobal: The amount of 2.1 USD has been deposited to your account. Accounts: U15359067->U981****. Memo: API Payment. Withdraw to investingnp from DERGlobal Limited.. Date: 11:17 30.08.18. Batch: 226319225. Выплата DERGlobal: The amount of 2.1 USD has been deposited to your account. Accounts: U15359067->U981****. Memo: API Payment. Withdraw to investingnp from DERGlobal Limited.. Date: 23:37 28.08.18. Batch: 226167502. The amount of 2.1 USD has been deposited to your account. Accounts: U15359067->U133****. Memo: API Payment. Withdraw to SleduiZaMnoicom from DERGlobal Limited.. Date: 23:59 28.08.18. Batch: 226169352. The amount of 2.1 USD has been deposited to your account. Accounts: U15359067->U133****. Memo: API Payment. Withdraw to SleduiZaMnoicom from DERGlobal Limited.. Date: 23:39 28.08.18. Batch: 226167935. The amount of 2.1 USD has been deposited to your account. Accounts: U15359067->U133****. Memo: API Payment. Withdraw to SleduiZaMnoicom from DERGlobal Limited.. Date: 09:15 27.08.18. Batch: 225975039. 27.08.18 09:14	Receive	Received Payment 1.26 USD from account U15359067 to account U4*. Batch: 225974862. Memo: API Payment. Withdraw to FIFARA from DERGlobal Limited. Выплата DERGlobal: The amount of 2.1 USD has been deposited to your account. Accounts: U15359067->U981****. Memo: API Payment. Withdraw to investingnp from DERGlobal Limited.. Date: 09:10 27.08.18. Batch: 225974437. Выплата DERGlobal: The amount of 2.1 USD has been deposited to your account. Accounts: U15359067->U981****. Memo: API Payment. Withdraw to investingnp from DERGlobal Limited.. Date: 09:42 26.08.18. Batch: 225884358. Выплата DERGlobal: The amount of 2.1 USD has been deposited to your account. Accounts: U15359067->U981****. Memo: API Payment. Withdraw to investingnp from DERGlobal Limited.. Date: 09:25 26.08.18. Batch: 225882116. Выплата DERGlobal: The amount of 2.1 USD has been deposited to your account. Accounts: U15359067->U981****. Memo: API Payment. Withdraw to investingnp from DERGlobal Limited.. Date: 09:20 26.08.18. Batch: 225881470. The amount of 2.1 USD has been deposited to your account. Accounts: U15359067->U133****. Memo: API Payment. Withdraw to SleduiZaMnoicom from DERGlobal Limited.. Date: 09:34 26.08.18. Batch: 225883341. The amount of 2.1 USD has been deposited to your account. Accounts: U15359067->U133****. Memo: API Payment. Withdraw to SleduiZaMnoicom from DERGlobal Limited.. Date: 09:40 26.08.18. Batch: 225884020. 24.08.18 14:57	Receive	Received Payment 1.26 USD from account U15359067 to account U4*. Batch: 225724082. Memo: API Payment. Withdraw to FIFARA from DERGlobal Limited. 24.08.18 11:19	Receive	Received Payment 1.26 USD from account U15359067 to account U4*. Batch: 225702473. Memo: API Payment. Withdraw to FIFARA from DERGlobal Limited. The amount of 2.1 USD has been deposited to your account. Accounts: U15359067->U133****. Memo: API Payment. Withdraw to SleduiZaMnoicom from DERGlobal Limited.. Date: 14:55 24.08.18. Batch: 225723649. The amount of 2.1 USD has been deposited to your account. Accounts: U15359067->U133****. Memo: API Payment. Withdraw to SleduiZaMnoicom from DERGlobal Limited.. Date: 11:09 24.08.18. Batch: 225701107. Выплата DERGlobal: The amount of 2.1 USD has been deposited to your account. Accounts: U15359067->U981****. Memo: API Payment. Withdraw to investingnp from DERGlobal Limited.. Date: 13:06 24.08.18. Batch: 225712992. Выплата DERGlobal: The amount of 2.1 USD has been deposited to your account. Accounts: U15359067->U981****. Memo: API Payment. Withdraw to investingnp from DERGlobal Limited.. Date: 01:57 23.08.18. Batch: 225559904. 21.08.18 22:25	Receive	Received Payment 1.26 USD from account U15359067 to account U4*. Batch: 225453137. Memo: API Payment. Withdraw to FIFARA from DERGlobal Limited. 21.08.18 21:42	Receive	Received Payment 1.26 USD from account U15359067 to account U4*. Batch: 225449647. Memo: API Payment. Withdraw to FIFARA from DERGlobal Limited. Выплата DERGlobal: The amount of 2.1 USD has been deposited to your account. Accounts: U15359067->U981****. Memo: API Payment. Withdraw to investingnp from DERGlobal Limited.. Date: 21:42 21.08.18. Batch: 225449555. Batch: 225452953. Memo: API Payment. Withdraw to vk74 from DERGlobal Limited. The amount of 2.1 USD has been deposited to your account. Accounts: U15359067->U133****. Memo: API Payment. Withdraw to SleduiZaMnoicom from DERGlobal Limited.. Date: 22:23 21.08.18. Batch: 225452700. The amount of 2.1 USD has been deposited to your account. Accounts: U15359067->U133****. Memo: API Payment. Withdraw to SleduiZaMnoicom from DERGlobal Limited.. Date: 22:21 21.08.18. Batch: 225452447. 20.08.18 1.16 USD U15359067-> U5688888. Batch: 225268413. DERGlobal Limited. 20.08.18 2.31 U15359067 -> U5688888. Batch: 225265479. DERGlobal Limited. 20.08.18 09:32	Receive	Received Payment 1.26 USD from account U15359067 to account U4*. Batch: 225266187. Memo: API Payment. Withdraw to FIFARA from DERGlobal Limited. 20.08.18 09:04	Receive	Received Payment 1.26 USD from account U15359067 to account U4*. Batch: 225262458. Memo: API Payment. Withdraw to FIFARA from DERGlobal Limited. Выплата DERGlobal: The amount of 2.1 USD has been deposited to your account. Accounts: U15359067->U981****. Memo: API Payment. Withdraw to investingnp from DERGlobal Limited.. Date: 10:01 20.08.18. Batch: 225270351. Выплата DERGlobal: The amount of 2.1 USD has been deposited to your account. Accounts: U15359067->U981****. Memo: API Payment. Withdraw to investingnp from DERGlobal Limited.. Date: 09:25 20.08.18. Batch: 225265043. The amount of 2.1 USD has been deposited to your account. Accounts: U15359067->U133****. Memo: API Payment. Withdraw to SleduiZaMnoicom from DERGlobal Limited.. Date: 09:32 20.08.18. Batch: 225266040. The amount of 2.1 USD has been deposited to your account. Accounts: U15359067->U133****. Memo: API Payment. Withdraw to SleduiZaMnoicom from DERGlobal Limited.. Date: 09:05 20.08.18. Batch: 225262776. Выплата DERGlobal: The amount of 2.1 USD has been deposited to your account. Accounts: U15359067->U981****. Memo: API Payment. Withdraw to investingnp from DERGlobal Limited.. Date: 12:05 18.08.18. Batch: 225093946. Выплата DERGlobal: The amount of 2.1 USD has been deposited to your account. Accounts: U15359067->U981****. Memo: API Payment. Withdraw to investingnp from DERGlobal Limited.. Date: 11:52 18.08.18. Batch: 225092008. Batch: 225091925. Memo: API Payment. Withdraw to vk74 from DERGlobal Limited. The amount of 2.1 USD has been deposited to your account. Accounts: U15359067->U133****. Memo: API Payment. Withdraw to SleduiZaMnoicom from DERGlobal Limited.. Date: 11:46 18.08.18. Batch: 225091127. The amount of 6.3 USD has been deposited to your account. Accounts: U15572330->U9160364. Memo: API Payment. Withdraw to SaniaTaim777 from BeKing.biz — Be King Online! Be King Today!.. Date: 22:26 16.08.18. Batch: 224941168. Выплата!The amount of 6.3 USD has been deposited to your account. Accounts: U15359067->U9160364. Memo: API Payment. Withdraw to Sania7 from DERGlobal Limited.. Date: 15:48 16.08.18. Batch: 224905407. Выплата! The amount of 2.1 USD has been deposited to your account. Accounts: U15359067->U9160364. Memo: API Payment. Withdraw to Sania7 from DERGlobal Limited.. Date: 01:23 14.08.18. Batch: 224598578. Выплата DERGlobal: The amount of 2.1 USD has been deposited to your account. Accounts: U15359067->U981****. Memo: API Payment. Withdraw to investingnp from DERGlobal Limited.. Date: 15:47 16.08.18. Batch: 224905028. Выплата DERGlobal: The amount of 2.1 USD has been deposited to your account. Accounts: U15359067->U981****. Memo: API Payment. Withdraw to investingnp from DERGlobal Limited.. Date: 13:13 16.08.18. Batch: 224886411. Выплата DERGlobal: The amount of 2.1 USD has been deposited to your account. Accounts: U15359067->U981****. Memo: API Payment. Withdraw to investingnp from DERGlobal Limited.. Date: 12:49 16.08.18. Batch: 224882420. Batch: 224885397. Memo: API Payment. Withdraw to vk74 from DERGlobal Limited. The amount of 2.1 USD has been deposited to your account. Accounts: U15359067->U133****. Memo: API Payment. Withdraw to SleduiZaMnoicom from DERGlobal Limited.. Date: 13:16 16.08.18. Batch: 224886867. The amount of 2.1 USD has been deposited to your account. Accounts: U15359067->U133****. Memo: API Payment. Withdraw to SleduiZaMnoicom from DERGlobal Limited.. Date: 13:08 16.08.18. Batch: 224885536. The amount of 2.1 USD has been deposited to your account. Accounts: U15359067->U133****. Memo: API Payment. Withdraw to SleduiZaMnoicom from DERGlobal Limited.. Date: 12:52 16.08.18. Batch: 224883077. Выплата DERGlobal: The amount of 2.1 USD has been deposited to your account. Accounts: U15359067->U981****. Memo: API Payment. Withdraw to investingnp from DERGlobal Limited.. Date: 01:20 14.08.18. Batch: 224598126. Выплата DERGlobal:The amount of 2.1 USD has been deposited to your account. Accounts: U15359067->U981****. Memo: API Payment. Withdraw to investingnp from DERGlobal Limited.. Date: 00:41 13.08.18. Batch: 224477209. Выплата DERGlobal: The amount of 2.1 USD has been deposited to your account. Accounts: U15359067->U981****. Memo: API Payment. Withdraw to investingnp from DERGlobal Limited.. Date: 19:25 12.08.18. Batch: 224458100. The amount of 2.1 USD has been deposited to your account. Accounts: U15359067->U133****. Memo: API Payment. Withdraw to SleduiZaMnoicom from DERGlobal Limited.. Date: 00:41 13.08.18. Batch: 224477246. The amount of 2.1 USD has been deposited to your account. Accounts: U15359067->U133**** Memo: API Payment. Withdraw to SleduiZaMnoicom from DERGlobal Limited.. Date: 00:59 13.08.18. Batch: 224478254. The amount of 2.1 USD has been deposited to your account. Accounts: U15359067->U133****. Memo: API Payment. Withdraw to SleduiZaMnoicom from DERGlobal Limited.. Date: 01:19 13.08.18. Batch: 224479255. Выплата DERGlobal: The amount of 2.1 USD has been deposited to your account. Accounts: U15359067->U981****. Memo: API Payment. Withdraw to investingnp from DERGlobal Limited.. Date: 04:31 11.08.18. Batch: 224274510. 10.08.18 1.15 USD U15359067->U5688888. Batch: 224145990. DERGlobal Limited. Выплата: The amount of 2.1 USD has been deposited to your account. Accounts: U15359067->U981****. Memo: API Payment. Withdraw to investingnp from DERGlobal Limited.. Date: 02:30 10.08.18. Batch: 224147905. The amount of 2.1 USD has been deposited to your account. Accounts: U15359067->U133****. Memo: API Payment. Withdraw to SleduiZaMnoicom from DERGlobal Limited.. Date: 02:30 10.08.18. Batch: 224147889. Выплата: The amount of 2.1 USD has been deposited to your account. Accounts: U15359067->U981****. Memo: API Payment. Withdraw to investingnp from DERGlobal Limited.. Date: 00:24 09.08.18. Batch: 224022805. The amount of 2.1 USD has been deposited to your account. Accounts: U15359067->U133****. Memo: API Payment. Withdraw to SleduiZaMnoicom from DERGlobal Limited.. Date: 00:20 09.08.18. Batch: 224022356. The amount of 2.1 USD has been deposited to your account. Accounts: U15359067->U133****. Memo: API Payment. Withdraw to SleduiZaMnoicom from DERGlobal Limited.. Date: 00:13 08.08.18. Batch: 223904425. Выплата: The amount of 2.1 USD has been deposited to your account. Accounts: U15359067->U981****. Memo: API Payment. Withdraw to investingnp from DERGlobal Limited.. Date: 00:23 08.08.18. Batch: 223905399. The amount of 2.1 USD has been deposited to your account. Accounts: U15359067->U133****. Memo: API Payment. Withdraw to SleduiZaMnoicom from DERGlobal Limited.. Date: 21:38 06.08.18. Batch: 223780819. Memo: API Payment. Withdraw to SleduiZaMnoicom from DERGlobal Limited.. Date: 20:10 06.08.18. Batch: 223773194. Выплата: The amount of 2.1 USD has been deposited to your account. Accounts: U15359067->U981****. Memo: API Payment. Withdraw to investingnp from DERGlobal Limited.. Date: 21:57 06.08.18. Batch: 223782099. Выплата: The amount of 2.1 USD has been deposited to your account. Accounts: U15359067->U981****. Memo: API Payment. Withdraw to investingnp from DERGlobal Limited.. Date: 21:55 06.08.18. Batch: 223781825. 06.08.18 21:56	Receive	Received Payment 1.05 USD from account U15359067 to account U4*. Batch: 223782010. Memo: API Payment. Withdraw to FIFARA from DERGlobal Limited. 06.08.18 21:55	Receive	Received Payment 1.05 USD from account U15359067 to account U4*. Batch: 223781773. Memo: API Payment. Withdraw to FIFARA from DERGlobal Limited. The amount of 2.1 USD has been deposited to your account. Accounts: U15359067->U133****. Memo: API Payment. Withdraw to SleduiZaMnoicom from DERGlobal Limited.. Date: 04:41 05.08.18. Batch: 223586849. The amount of 2.1 USD has been deposited to your account. Accounts: U15359067->U133****. Memo: API Payment. Withdraw to SleduiZaMnoicom from DERGlobal Limited.. Date: 04:39 05.08.18. Batch: 223586506. Выплата: The amount of 2.2 USD has been deposited to your account. Accounts: U15359067->U981****. Memo: API Payment. Withdraw to investingnp from DERGlobal Limited.. Date: 22:31 04.08.18. Batch: 223571925. 2.31 USD. Accounts: U15359067->U5688888. Date: 19:05 03.08.18. Batch: 223458709. The amount of 2.1 USD has been deposited to your account. Accounts: U15359067->U133****. Memo: API Payment. Withdraw to SleduiZaMnoicom from DERGlobal Limited.. Date: 19:09 03.08.18. Batch: 223459453. Выплата: The amount of 2 USD has been deposited to your account. Accounts: U15359067->U981****. Memo: API Payment. Withdraw to investingnp from DERGlobal Limited.. Date: 19:03 03.08.18. Batch: 223458255. 1.15 USD. Accounts: U15359067->U5688888.Date: 11:20 02.08.18. Batch: 223288457. The amount of 2.1 USD has been deposited to your account. Accounts: U15359067->U133****. Memo: API Payment. Withdraw to SleduiZaMnoicom from DERGlobal Limited.. Date: 10:55 02.08.18. Batch: 223284526. Выплата: The amount of 2.1 USD has been deposited to your account. Accounts: U15359067->U981****. Memo: API Payment. Withdraw to investingnp from DERGlobal Limited.. Date: 11:19 02.08.18. Batch: 223288305. Выплата: The amount of 2.1 USD has been deposited to your account. Accounts: U15359067->U981****. Memo: API Payment. Withdraw to investingnp from DERGlobal Limited.. Date: 10:55 02.08.18. Batch: 223284595. Received Payment $ 8.47 USD from account U15359067. Memo: API Payment. Withdraw to GMBorysov from DERGlobal Limited. The amount of 2.1 USD has been deposited to your account. Accounts: U15359067->U133****. Memo: API Payment. Withdraw to SleduiZaMnoicom from DERGlobal Limited.. Date: 00:49 01.08.18. Batch: 222793006. The amount of 2.1 USD has been deposited to your account. Accounts: U15359067->U133****. Memo: API Payment. Withdraw to SleduiZaMnoicom from DERGlobal Limited.. Date: 00:45 01.08.18. Batch: 222792560. The amount of 2.1 USD has been deposited to your account. Accounts: U15359067->U133****. Memo: API Payment. Withdraw to SleduiZaMnoicom from DERGlobal Limited.. Date: 00:25 01.08.18. Batch: 222790850. Выплата: The amount of 2.1 USD has been deposited to your account. Accounts: U15359067->U981****. Memo: API Payment. Withdraw to investingnp from DERGlobal Limited.. Date: 00:11 01.08.18. Batch: 222789457. Выплата: The amount of 2.1 USD has been deposited to your account. Accounts: U15359067->U981****. Memo: API Payment. Withdraw to investingnp from DERGlobal Limited.. Date: 00:32 01.08.18. Batch: 222791544. 01.08.18 00:31	Receive	Received Payment 1.05 USD from account U15359067 to account U4*. Batch: 222791409. Memo: API Payment. Withdraw to FIFARA from DERGlobal Limited. 01.08.18 00:28	Receive	Received Payment 1.05 USD from account U15359067 to account U4*. Batch: 222791289. Memo: API Payment. Withdraw to FIFARA from DERGlobal Limited. Date: 00:36 01.08.18. Batch: 222792077. Выплата: The amount of 2.1 USD has been deposited to your account. Accounts: U15359067->U981****. Memo: API Payment. Withdraw to investingnp from DERGlobal Limited.. Date: 19:11 29.07.18. Batch: 222549148. Выплата: The amount of 2.1 USD has been deposited to your account. Accounts: U15359067->U981****. Memo: API Payment. Withdraw to investingnp from DERGlobal Limited.. Date: 19:06 29.07.18. Batch: 222548402. The amount of 2.1 USD has been deposited to your account. Accounts: U15359067->U133****. Memo: API Payment. Withdraw to SleduiZaMnoicom from DERGlobal Limited.. Date: 18:45 29.07.18. Batch: 222546462. The amount of 2.1 USD has been deposited to your account. Accounts: U15359067->U133****. Memo: API Payment. Withdraw to SleduiZaMnoicom from DERGlobal Limited.. Date: 04:29 28.07.18. Batch: 222391699. The amount of 2.1 USD has been deposited to your account. Accounts: U15359067->U133**** Memo: API Payment. Withdraw to SleduiZaMnoicom from DERGlobal Limited.. Date: 02:02 28.07.18. Batch: 222385313. Выплата: The amount of 2.1 USD has been deposited to your account. Accounts: U15359067->U981****. Memo: API Payment. Withdraw to investingnp from DERGlobal Limited.. Date: 04:29 28.07.18. Batch: 222391695. Выплата: The amount of 2.1 USD has been deposited to your account. Accounts: U15359067->U981****. Memo: API Payment. Withdraw to investingnp from DERGlobal Limited.. Date: 03:49 28.07.18. Batch: 222389169. Received Payment 5.65 USD from account U15359067. Memo: API Payment. 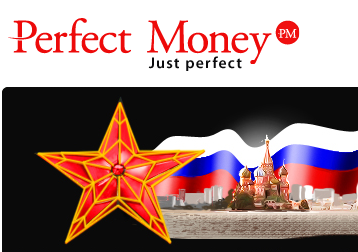 Withdraw to GMBorysov from DERGlobal Limited. Выплата: The amount of 2.1 USD has been deposited to your account. Accounts: U15359067->U981****. Memo: API Payment. Withdraw to investingnp from DERGlobal Limited.. Date: 01:34 26.07.18. Batch: 222189023. The amount of 4.2 USD has been deposited to your account. Accounts: U15359067->U133****. Memo: API Payment. Withdraw to SleduiZaMnoicom from DERGlobal Limited.. Date: 01:39 26.07.18. Batch: 222189564. The amount of 4.2 USD has been deposited to your account. Accounts: U15359067->U133****. Memo: API Payment. Withdraw to SleduiZaMnoicom from DERGlobal Limited.. Date: 23:12 24.07.18. Batch: 222073656. Выплата: The amount of 2.1 USD has been deposited to your account. Accounts: U15359067->U981****. Memo: API Payment. Withdraw to investingnp from DERGlobal Limited.. Date: 23:27 24.07.18. Batch: 222074999. Выплата: The amount of 2.1 USD has been deposited to your account. Accounts: U15359067->U981****. Memo: API Payment. Withdraw to investingnp from DERGlobal Limited.. Date: 23:01 24.07.18. Batch: 222072773. DERGlobal Limited	+10.63	63.53	Received Payment 10.63 USD from account U15359067. Memo: API Payment. Withdraw to Andr from DERGlobal Limited. Выплата: The amount of 2.1 USD has been deposited to your account. Accounts: U15359067->U981****. Memo: API Payment. Withdraw to investingnp from DERGlobal Limited.. Date: 07:59 23.07.18. Batch: 221892009. Выплата: The amount of 2.1 USD has been deposited to your account. Accounts: U15359067->U981****. Memo: API Payment. Withdraw to investingnp from DERGlobal Limited.. Date: 07:40 23.07.18. Batch: 221889852. The amount of 4.2 USD has been deposited to your account. Accounts: U15359067->U133**** Memo: API Payment. Withdraw to SleduiZaMnoicom from DERGlobal Limited.. Date: 08:02 23.07.18. Batch: 221892486. The amount of 4.2 USD has been deposited to your account. Accounts: U15359067->U133****. Memo: API Payment. Withdraw to SleduiZaMnoicom from DERGlobal Limited.. Date: 07:40 23.07.18. Batch: 221889941. The amount of 4.2 USD has been deposited to your account. Accounts: U15359067->U133****. Memo: API Payment. Withdraw to SleduiZaMnoicom from DERGlobal Limited.. Date: 03:55 21.07.18. Batch: 221717481. The amount of 4.2 USD has been deposited to your account. Accounts: U15359067->U133****. Memo: API Payment. Withdraw to SleduiZaMnoicom from DERGlobal Limited.. Date: 03:37 21.07.18. Batch: 221715853. Received Payment 12.6 USD from account U15359067 to account U164ххх. Batch: 221720171. Memo: API Payment. Withdraw to vk74 from DERGlobal Limited. 21.07.18 04:38	Receive	Received Payment 1.05 USD from account U15359067 to account U4. Batch: 221719524. Memo: API Payment. Withdraw to FIFARA from DERGlobal Limited. 21.07.18 03:52	Receive	Received Payment 1.05 USD from account U15359067 to account U4. Batch: 221717145. Memo: API Payment. Withdraw to FIFARA from DERGlobal Limited. Выплата: The amount of 2.1 USD has been deposited to your account. Accounts: U15359067->U981****. Memo: API Payment. Withdraw to investingnp from DERGlobal Limited.. Date: 03:55 21.07.18. Batch: 221717507. Выплата: The amount of 2.1 USD has been deposited to your account. Accounts: U15359067->U981****. Memo: API Payment. Withdraw to investingnp from DERGlobal Limited.. Date: 03:53 21.07.18. Batch: 221717318. The amount of 4.2 USD has been deposited to your account. Accounts: U15359067->U133****. Memo: API Payment. Withdraw to SleduiZaMnoicom from DERGlobal Limited. Date: 19:48 18.07.18. Batch: 221500478. Выплата: The amount of 2.1 USD has been deposited to your account. Accounts: U15359067->U981****. Memo: API Payment. Withdraw to investingnp from DERGlobal Limited.. Date: 19:49 18.07.18. Batch: 221500505. 18.07.18 20:07	Receive	Received Payment 1.05 USD from account U15359067 to account U4*. Batch: 221502819. Memo: API Payment. Withdraw to FIFARA from DERGlobal Limited. 18.07.18 19:36	Receive	Received Payment 1.05 USD from account U15359067 to account U4*. Batch: 221499287. Memo: API Payment. Withdraw to FIFARA from DERGlobal Limited. Date: 19:36 18.07.18. Batch: 221499318. Выплата: The amount of 2.1 USD has been deposited to your account. Accounts: U15359067->U981****. Memo: API Payment. Withdraw to investingnp from DERGlobal Limited.. Date: 11:10 17.07.18. Batch: 221360987. Выплата: The amount of 2.1 USD has been deposited to your account. Accounts: U15359067->U981****. Memo: API Payment. Withdraw to investingnp from DERGlobal Limited.. Date: 11:02 17.07.18. Batch: 221359434. Выплата: The amount of 2.1 USD has been deposited to your account. Accounts: U15359067->U981****. Memo: API Payment. Withdraw to investingnp from DERGlobal Limited.. Date: 10:44 17.07.18. Batch: 221357670. 17.07.18 11:08	Receive	Received Payment 1.05 USD from account U15359067 to account U4*. Batch: 221360551. Memo: API Payment. Withdraw to FIFARA from DERGlobal Limited. The amount of 8.4 USD has been deposited to your account. Accounts: U15359067->U133****. Memo: API Payment. Withdraw to SleduiZaMnoicom from DERGlobal Limited.. Date: 11:02 17.07.18. Batch: 221359452. The amount of 4.2 USD has been deposited to your account. Accounts: U15359067->U133**** Memo: API Payment. Withdraw to SleduiZaMnoicom from DERGlobal Limited.. Date: 10:43 17.07.18. Batch: 221357512. 16.07.18 06:12	Receive	Received Payment 1.05 USD from account U15359067 to account U4*. Batch: 221237549. Memo: API Payment. Withdraw to FIFARA from DERGlobal Limited. 16.07.18 06:03	Receive	Received Payment 1.05 USD from account U15359067 to account U4*. Batch: 221236161. Memo: API Payment. Withdraw to FIFARA from DERGlobal Limited. Выплата: The amount of 2.1 USD has been deposited to your account. Accounts: U15359067->U981****. Memo: API Payment. Withdraw to investingnp from DERGlobal Limited.. Date: 14:03 14.07.18. Batch: 221110433. Выплата: The amount of 2.1 USD has been deposited to your account. Accounts: U15359067->U981****. Memo: API Payment. Withdraw to investingnp from DERGlobal Limited.. Date: 04:17 14.07.18. Batch: 221074091. Выплата: The amount of 2.1 USD has been deposited to your account. Accounts: U15359067->U981****. Memo: API Payment. Withdraw to investingnp from DERGlobal Limited.. Date: 05:52 13.07.18. Batch: 220985703. The amount of 4.2 USD has been deposited to your account. Accounts: U15359067->U133****. Memo: API Payment. Withdraw to SleduiZaMnoicom from DERGlobal Limited.. Date: 05:32 13.07.18. Batch: 220984669. 11.07.18 21:41	Receive	Received Payment 1.05 USD from account U15359067 to account U4*. Batch: 220872236. Memo: API Payment. Withdraw to FIFARA from DERGlobal Limited. The amount of 4.2 USD has been deposited to your account. Accounts: U15359067->U133****. Memo: API Payment. Withdraw to SleduiZaMnoicom from DERGlobal Limited.. Date: 21:03 11.07.18. Batch: 220867750. Выплата: The amount of 2.1 USD has been deposited to your account. Accounts: U15359067->U981****. Memo: API Payment. Withdraw to investingnp from DERGlobal Limited.. Date: 21:22 11.07.18. Batch: 220870474. Выплата: The amount of 2.1 USD has been deposited to your account. Accounts: U15359067->U981****. Memo: API Payment. Withdraw to investingnp from DERGlobal Limited.. Date: 17:09 10.07.18. Batch: 220743440. Выплата: The amount of 2.1 USD has been deposited to your account. Accounts: U15359067->U981****. Memo: API Payment. Withdraw to investingnp from DERGlobal Limited.. Date: 16:48 10.07.18. Batch: 220739971. Date: 17:07 10.07.18. Batch: 220743190. Received Payment 10.5 USD from account U15359067 to account U164ххх. Batch: 220743511. Memo: API Payment. Withdraw to vk74 from DERGlobal Limited. The amount of 4.2 USD has been deposited to your account. Accounts: U15359067->U133****Memo: API Payment. Withdraw to SleduiZaMnoicom from DERGlobal Limited.. Date: 17:14 10.07.18. Batch: 220744447. The amount of 4.2 USD has been deposited to your account. Accounts: U15359067->U133**** Memo: API Payment. Withdraw to SleduiZaMnoicom from DERGlobal Limited.. Date: 17:12 10.07.18. Batch: 220744010. The amount of 0.63 USD has been deposited to your account. Accounts: U15359067->U421****. Memo: API Payment. Withdraw to **** from DERGlobal Limited.. Date: 09:54 10.07.18. Batch: 220701459. The amount of 4.2 USD has been deposited to your account. Accounts: U15359067->U133****. Memo: API Payment. Withdraw to SleduiZaMnoicom from DERGlobal Limited.. Date: 13:23 08.07.18. Batch: 220514112. The amount of 4.2 USD has been deposited to your account. Accounts: U15359067->U133**** Memo: API Payment. Withdraw to SleduiZaMnoicom from DERGlobal Limited.. Date: 13:14 08.07.18. Batch: 220513194. Date: 12:51 08.07.18. Batch: 220510993. DerGlobal — Выплата: The amount of 2.1 USD has been deposited to your account. Accounts: U15359067->U981****. Memo: API Payment. Withdraw to investingnp from DERGlobal Limited.. Date: 01:44 07.07.18. Batch: 220396671. The amount of 4.2 USD has been deposited to your account. Accounts: U15359067->U133****. Memo: API Payment. Withdraw to SleduiZaMnoicom from DERGlobal Limited.. Date: 02:12 07.07.18. Batch: 220397934. 1.09 USD. Accounts: U15359067->U5688888.Date: 01:44 07.07.18. Batch: 220396758. Выплата: The amount of 2.1 USD has been deposited to your account. Accounts: U15359067->U981****. Memo: API Payment. Withdraw to investingnp from DERGlobal Limited.. Date: 03:29 06.07.18. Batch: 220300607. The amount of 4.2 USD has been deposited to your account. Accounts: U15359067->U133****. Memo: API Payment. Withdraw to SleduiZaMnoicom from DERGlobal Limited.. Date: 03:34 06.07.18. Batch: 220301063. Received Payment 10.5 USD from account U15359067 to account U164ххх. Batch: 220168170. Memo: API Payment. Withdraw from DERGlobal Limited. 05.07.18 02:29	Receive	Received Payment 1.05 USD from account U15359067 to account U4*. Batch: 220169288. Memo: API Payment. Withdraw to FIFARA from DERGlobal Limited. The amount of 4.2 USD has been deposited to your account. Accounts: U15359067->U133*****. Memo: API Payment. Withdraw to SleduiZaMnoicom from DERGlobal Limited.. Date: 02:18 05.07.18. Batch: 220168376. Выплата: The amount of 2.1 USD has been deposited to your account. Accounts: U15359067->U981****. Memo: API Payment. Withdraw to investingnp from DERGlobal Limited.. Date: 02:14 05.07.18. Batch: 220167734. Выплата: The amount of 2.1 USD has been deposited to your account. Accounts: U15359067->U981****. Memo: API Payment. Withdraw from DERGlobal Limited.. Date: 02:14 05.07.18. Batch: 220167734. Date: 02:29 05.07.18. Batch: 220169280. The amount of 4.2 USD has been deposited to your account. Accounts: U15359067->U133****. Memo: API Payment. Withdraw to SleduiZaMnoicom from DERGlobal Limited.. Date: 03:04 04.07.18. Batch: 220068020. Выплата: The amount of 2.1 USD has been deposited to your account. Accounts: U15359067->U981****. Memo: API Payment. Withdraw from DERGlobal Limited.. Date: 03:04 04.07.18. Batch: 220068040. Выплата: The amount of 2.1 USD has been deposited to your account. Accounts: U15359067->U981****. Memo: API Payment. Withdraw from DERGlobal Limited.. Date: 02:52 04.07.18. Batch: 220066929. 2.19 USD. Accounts: U15359067->U5688888.Date: 03:05 04.07.18. Batch: 220068082. DERGlobal Limited	+1.47	55.02	Received Payment 1.47 USD from account U15359067. Memo: API Payment. Withdraw to Andr from DERGlobal Limited. The amount of 4.2 USD has been deposited to your account. Accounts: U15359067->U133****. Memo: API Payment. Withdraw to SleduiZaMnoicom from DERGlobal Limited.. Date: 02:36 03.07.18. Batch: 219965933. Выплата: The amount of 2.1 USD has been deposited to your account. Accounts: U15359067->U981****. Memo: API Payment. Withdraw from DERGlobal Limited.. Date: 23:33 01.07.18. Batch: 219849816. Выплата: The amount of 2.1 USD has been deposited to your account. Accounts: U15359067->U981****. Memo: API Payment. Withdraw from DERGlobal Limited.. Date: 23:29 01.07.18. Batch: 219849302. Выплата: The amount of 2.1 USD has been deposited to your account. Accounts: U15359067->U981****. Memo: API Payment. Withdraw from DERGlobal Limited.. Date: 10:05 01.07.18. Batch: 219742352. The amount of 4.2 USD has been deposited to your account. Accounts: U15359067->U133****. Memo: API Payment. Withdraw to SleduiZaMnoicom from DERGlobal Limited.. Date: 23:28 01.07.18. Batch: 219849143. 01.07.18 11:18	Receive	Received Payment 1.05 USD from account U15359067 to account U4*. Batch: 219799692. Memo: API Payment. Withdraw to FIFARA from DERGlobal Limited. 01.07.18 10:54	Receive	Received Payment 1.05 USD from account U15359067 to account U4*. Batch: 219796954. Memo: API Payment. Withdraw to FIFARA from DERGlobal Limited. Выплата!The amount of 2.1 USD has been deposited to your account. Accounts: U15359067->U945*** Memo: API Payment. Withdraw to Baklazhan from DERGlobal Limited.. Date: 11:53 01.07.18. Batch: 219803531. The amount of 4.2 USD has been deposited to your account. Accounts: U15359067->U133****. Memo: API Payment. Withdraw to SleduiZaMnoicom from DERGlobal Limited.. Date: 10:56 01.07.18. Batch: 219797197. Date: 11:16 01.07.18. Batch: 219799184. Выплата: The amount of 2.1 USD has been deposited to your account. Accounts: U15359067->U981****. Memo: API Payment. Withdraw from DERGlobal Limited.. Date: 15:02 29.06.18. Batch: 219330391. The amount of 4.2 USD has been deposited to your account. Accounts: U15359067->U133****. Memo: API Payment. Withdraw to SleduiZaMnoicom from DERGlobal Limited.. Date: 14:54 29.06.18. Batch: 219329128. 29.06.18 14:53	Receive	Received Payment 1.05 USD from account U15359067 to account U4*. Batch: 219328938. Memo: API Payment. Withdraw to FIFARA from DERGlobal Limited. Вторая выплата! The amount of 2.1 USD has been deposited to your account. Accounts: U15359067->U94****Memo: API Payment. Withdraw to Baklazhan from DERGlobal Limited.. Date: 15:02 29.06.18. Batch: 219330386. Выплата!The amount of 2.1 USD has been deposited to your account. Accounts: U15359067->U945**. Memo: API Payment. Withdraw to Baklazhan from DERGlobal Limited.. Date: 15:03 29.06.18. Batch: 219330543. Date: 15:03 29.06.18. Batch: 219330523. Выплата! The amount of 2.1 USD has been deposited to your account. Accounts: U15359067->U945. Memo: API Payment. Withdraw to Baklazhan from DERGlobal Limited.. Date: 13:52 28.06.18. Batch: 219232919. Выплата: The amount of 2.1 USD has been deposited to your account. Accounts: U15359067->U981****. Memo: API Payment. Withdraw from DERGlobal Limited.. Date: 13:17 28.06.18. Batch: 219229540. Выплата: The amount of 2.1 USD has been deposited to your account. Accounts: U15359067->U981****. Memo: API Payment. Withdraw from DERGlobal Limited.. Date: 12:29 28.06.18. Batch: 219224564. 28.06.18 12:27	Receive	Received Payment 1.05 USD from account U15359067 to account U4*. Batch: 219224294. Memo: API Payment. Withdraw to FIFARA from DERGlobal Limited. 28.06.18 12:04	Receive	Received Payment 1.05 USD from account U15359067 to account U4*. Batch: 219222366. Memo: API Payment. Withdraw to FIFARA from DERGlobal Limited. The amount of 4.2 USD has been deposited to your account. Accounts: U15359067->U133****. Memo: API Payment. Withdraw to SleduiZaMnoicom from DERGlobal Limited.. Date: 13:53 28.06.18. Batch: 219233014. The amount of 4.2 USD has been deposited to your account. Accounts: U15359067->U1339****. Memo: API Payment. Withdraw to SleduiZaMnoicom from DERGlobal Limited.. Date: 12:02 28.06.18. Batch: 219221975. Выплата! The amount of 4.2 USD has been deposited to your account. Accounts: U15359067->U945****Memo: API Payment. Withdraw to Baklazhan from DERGlobal Limited. Date: 23:58 26.06.18. Batch: 219079111. Вывод: The amount of 2.1 USD has been deposited to your account. Accounts: U15359067->U981****. Memo: API Payment. Withdraw from DERGlobal Limited.. Date: 23:25 26.06.18. Batch: 219074938. The amount of 4.2 USD has been deposited to your account. Accounts: U15359067->U133****. Memo: API Payment. Withdraw to SleduiZaMnoicom from DERGlobal Limited.. Date: 23:37 26.06.18. Batch: 219076814. Date: 23:44 26.06.18. Batch: 219077930. 25.06.18 17:38	Receive	Received Payment 1.05 USD from account U15359067 to account U4*. Batch: 218954829. Memo: API Payment. Withdraw to FIFARA from DERGlobal Limited. Выплата: The amount of 2.1 USD has been deposited to your account. Accounts: U15359067->U981****. Memo: API Payment. Withdraw from DERGlobal Limited.. Date: 17:28 25.06.18. Batch: 218953379. Платит! The amount of 2.1 USD has been deposited to your account. Accounts: U15359067->U945***. Memo: API Payment. Withdraw to Baklazhan from DERGlobal Limited.. Date: 22:16 24.06.18. Batch: 218876510. Received Payment 10.5 USD from account U15359067 to account U164ххх. Batch: 218851201. Memo: API Payment. Withdraw to vk74 from DERGlobal Limited. The amount of 4.2 USD has been deposited to your account. Accounts: U15359067->U1339****. Memo: API Payment. Withdraw to SleduiZaMnoicom from DERGlobal Limited.. Date: 22:12 24.06.18. Batch: 218876006. Выплата: The amount of 2.1 USD has been deposited to your account. Accounts: U15359067->U981****. Memo: API Payment. Withdraw from DERGlobal Limited.. Date: 17:07 24.06.18. Batch: 218853737. The amount of 4.2 USD has been deposited to your account. Accounts: U15359067->U133****. Memo: API Payment. Withdraw to SleduiZaMnoicom from DERGlobal Limited.. Date: 17:07 24.06.18. Batch: 218853888. Выплата: The amount of 2.1 USD has been deposited to your account. Accounts: U15359067->U981****. Memo: API Payment. Withdraw from DERGlobal Limited.. Date: 14:02 23.06.18. Batch: 218765667. The amount of 4.2 USD has been deposited to your account. Accounts: U15359067->U133****. Memo: API Payment. Withdraw to SleduiZaMnoicom from DERGlobal Limited.. Date: 13:42 23.06.18. Batch: 218763292. The amount of 4.3 USD has been deposited to your account. Accounts: U15359067->U133****. Memo: API Payment. Withdraw to SleduiZaMnoicom from DERGlobal Limited.. Date: 16:13 22.06.18. Batch: 218692341. The amount of 4.2 USD has been deposited to your account. Accounts: U15359067->U133****. Memo: API Payment. Withdraw to SleduiZaMnoicom from DERGlobal Limited.. Date: 15:15 22.06.18. Batch: 218685104. 22.06.18 16:44	Receive	Received Payment 1.05 USD from account U15359067 to account U4*. Batch: 218695832. Memo: API Payment. Withdraw to FIFARA from DERGlobal Limited. 22.06.18 15:16	Receive	Received Payment 1.05 USD from account U15359067 to account U4*. Batch: 218685263. Memo: API Payment. Withdraw to FIFARA from DERGlobal Limited. Выплата: The amount of 2.1 USD has been deposited to your account. Accounts: U15359067->U981****. Memo: API Payment. Withdraw from DERGlobal Limited.. Date: 16:15 22.06.18. Batch: 218692754. Выплата: The amount of 2.1 USD has been deposited to your account. Accounts: U15359067->U981****. Memo: API Payment. Withdraw from DERGlobal Limited.. Date: 15:28 22.06.18. Batch: 218687131. The amount of 4.2 USD has been deposited to your account. Accounts: U15359067->U133**** Memo: API Payment. Withdraw to SleduiZaMnoicom from DERGlobal Limited.. Date: 15:15 22.06.18. Batch: 218685104. Выплата: The amount of 2.1 USD has been deposited to your account. Accounts: U15359067->U981****. Memo: API Payment. Withdraw from DERGlobal Limited.. Date: 23:58 20.06.18. Batch: 218529766. DERGlobal Limited	+1.26	45.48	Received Payment 1.26 USD from account U15359067. Memo: API Payment. Withdraw to Andr from DERGlobal Limited. 2.18 USD. Accounts: U15359067->U5688888.Date: 01:32 21.06.18. Batch: 218532335. 1.09 USD. Accounts: U15359067->U5688888.Date: 23:35 20.06.18. Batch: 218527586. The amount of 4.25 USD has been deposited to your account. Accounts: U15359067->U133*****. Memo: API Payment. Withdraw to SleduiZaMnoicom from DERGlobal Limited.. Date: 23:40 20.06.18. Batch: 218528453. Выплата: The amount of 2.1 USD has been deposited to your account. Accounts: U15359067->U981****. Memo: API Payment. Withdraw from DERGlobal Limited.. Date: 18:50 19.06.18. Batch: 218410025. Выплата: The amount of 2.1 USD has been deposited to your account. Accounts: U15359067->U981****. Memo: API Payment. Withdraw from DERGlobal Limited.. Date: 17:49 19.06.18. Batch: 218402281. Date: 18:16 19.06.18. Batch: 218405771. 19.06.18 18:39	Receive	Received Payment 1.05 USD from account U15359067 to account U4*. Batch: 218408714. Memo: API Payment. Withdraw to FIFARA from DERGlobal Limited. 19.06.18 17:50	Receive	Received Payment 1.05 USD from account U15359067 to account U4*. Batch: 218402485. Memo: API Payment. Withdraw to FIFARA from DERGlobal Limited. Received Payment 10.5 USD from account U15359067 to account U164ххх. Batch: 218405807. Memo: API Payment. Withdraw from DERGlobal Limited. The amount of 4.2 USD has been deposited to your account. Accounts: U15359067->U133**** Memo: API Payment. Withdraw to SleduiZaMnoicom from DERGlobal Limited.. Date: 18:14 19.06.18. Batch: 218405401. The amount of 4.2 USD has been deposited to your account. Accounts: U15359067->U133****. Memo: API Payment. Withdraw to SleduiZaMnoicom from DERGlobal Limited.. Date: 17:48 19.06.18. Batch: 218401975. Date: 18:10 19.06.18. Batch: 218404699. Выплата: The amount of 2.1 USD has been deposited to your account. Accounts: U15359067->U981****. Memo: API Payment. Withdraw from DERGlobal Limited.. Date: 03:08 18.06.18. Batch: 218245173. Выплата: The amount of 2.1 USD has been deposited to your account. Accounts: U15359067->U981****. Memo: API Payment. Withdraw from DERGlobal Limited.. Date: 08:12 16.06.18. Batch: 218116159. Выплата: The amount of 2.1 USD has been deposited to your account. Accounts: U15359067->U981****. Memo: API Payment. Withdraw from DERGlobal Limited.. Date: 07:11 16.06.18. Batch: 218111036. Memo: API Payment. Withdraw to **** from DERGlobal Limited.. Date: 03:00 18.06.18. Batch: 218244261. Memo: API Payment. Withdraw to **** from DERGlobal Limited.. Date: 03:12 18.06.18. Batch: 218245505. The amount of 4.2 USD has been deposited to your account. Accounts: U15359067->U133**** Memo: API Payment. Withdraw to SleduiZaMnoicom from DERGlobal Limited.. Date: 03:09 18.06.18. Batch: 218245241. The amount of 4.2 USD has been deposited to your account. Accounts: U15359067->U133*****. Memo: API Payment. Withdraw to SleduiZaMnoicom from DERGlobal Limited.. Date: 08:12 16.06.18. Batch: 218116209. Received Payment 8.4 USD from account U15359067 to account U164ххх. Batch: 217988840. Memo: API Payment. Withdraw from DERGlobal Limited. Date: 15:20 14.06.18. Batch: 217971988. Выплата: The amount of 2.1 USD has been deposited to your account. Accounts: U15359067->U981****. Memo: API Payment. Withdraw from DERGlobal Limited.. Date: 18:14 14.06.18. Batch: 217989298. Выплата: The amount of 2.1 USD has been deposited to your account. Accounts: U15359067->U981****. Memo: API Payment. Withdraw from DERGlobal Limited.. Date: 03:43 13.06.18. Batch: 217822209. The amount of 4.2 USD has been deposited to your account. Accounts: U15359067->U133****. Memo: API Payment. Withdraw to SleduiZaMnoicom from DERGlobal Limited.. Date: 12:26 14.06.18. Batch: 217955081. 14.06.18 10:25	Receive	Received Payment 1.05 USD from account U15359067 to account U4*. Batch: 217944078. Memo: API Payment. Withdraw to FIFARA from DERGlobal Limited. Date: 17:38 14.06.18. Batch: 217985697. Date: 03:37 13.06.18. Batch: 217821514. Выплата: The amount of 2.1 USD has been deposited to your account. Accounts: U15359067->U981****. Memo: API Payment. Withdraw from DERGlobal Limited.. Date: 22:03 11.06.18. Batch: 217712124. Выплата: The amount of 2.1 USD has been deposited to your account. Accounts: U15359067->U981****. Memo: API Payment. Withdraw from DERGlobal Limited.. Date: 21:26 11.06.18. Batch: 217709736. 1.05 USD. Accounts: U15359067->U5688888.Date: 22:04 11.06.18. Batch: 217712281. The amount of 2.21 USD has been deposited to your account. Accounts: U15359067->U133****. Memo: API Payment. Withdraw to SleduiZaMnoicom from DERGlobal Limited.. Date: 22:04 11.06.18. Batch: 217712351. The amount of 4.2 USD has been deposited to your account. Accounts: U15359067->U133****. Memo: API Payment. Withdraw to SleduiZaMnoicom from DERGlobal Limited.. Date: 22:18 11.06.18. Batch: 217713574. Date: 22:16 11.06.18. Batch: 217713289. The amount of 4.2 USD has been deposited to your account. Accounts: U15359067->U133****. Memo: API Payment. Withdraw to SleduiZaMnoicom from DERGlobal Limited.. Date: 20:48 11.06.18. Batch: 217706196. Выплата: The amount of 2.1 USD has been deposited to your account. Accounts: U15359067->U981****. Memo: API Payment. Withdraw from DERGlobal Limited.. Date: 12:47 11.06.18. Batch: 217663289. Date: 12:52 11.06.18. Batch: 217664004. Выплата: The amount of 2.1 USD has been deposited to your account. Accounts: U15359067->U981****. Memo: API Payment. Withdraw from DERGlobal Limited.. Date: 19:48 09.06.18. Batch: 217524603. Выплата: The amount of 2.1 USD has been deposited to your account. Accounts: U15359067->U981****. Memo: API Payment. Withdraw from DERGlobal Limited.. Date: 05:43 09.06.18. Batch: 217460264. 2.1 USD. Accounts: U15359067->U5688888.Date: 05:46 09.06.18. Batch: 217460641. The amount of 2.1 USD has been deposited to your account. Accounts: U15359067->U133****. Memo: API Payment. Withdraw to SleduiZaMnoicom from DERGlobal Limited.. Date: 19:48 09.06.18. Batch: 217524568. Date: 19:58 09.06.18. Batch: 217525968. The amount of 2.1 USD has been deposited to your account. Accounts: U15359067->U133****. Memo: API Payment. Withdraw to SleduiZaMnoicom from DERGlobal Limited.. Date: 18:29 07.06.18. Batch: 217321300. The amount of 2.1 USD has been deposited to your account. Accounts: U15359067->U133****. Memo: API Payment. Withdraw to SleduiZaMnoicom from DERGlobal Limited.. Date: 18:19 07.06.18. Batch: 217319620. Выплата: The amount of 2.1 USD has been deposited to your account. Accounts: U15359067->U981****. Memo: API Payment. Withdraw from DERGlobal Limited.. Date: 18:33 07.06.18. Batch: 217322034. 07.06.18 18:18	Receive	Received Payment 1.05 USD from account U15359067 to account U4*. Batch: 217319501. Memo: API Payment. Withdraw to FIFARA from DERGlobal Limited. The amount of 2.1 USD has been deposited to your account. Accounts: U15359067->U133**** Memo: API Payment. Withdraw to SleduiZaMnoicom from DERGlobal Limited.. Date: 15:31 06.06.18. Batch: 217203752. The amount of 2.21 USD has been deposited to your account. Accounts: U15359067->U133**** Memo: API Payment. Withdraw to SleduiZaMnoicom from DERGlobal Limited.. Date: 15:20 06.06.18. Batch: 217202285. Выплата: The amount of 2.1 USD has been deposited to your account. Accounts: U15359067->U981****. Memo: API Payment. Withdraw from DERGlobal Limited.. Date: 15:38 06.06.18. Batch: 217204885. Выплата: The amount of 2.1 USD has been deposited to your account. Accounts: U15359067->U981****. Memo: API Payment. Withdraw from DERGlobal Limited.. Date: 15:20 06.06.18. Batch: 217202197. 3.15 USD. Accounts: U15359067->U5688888.Date: 15:27 06.06.18. Batch: 217203216. 1.05 USD. Accounts: U15359067->U5688888.Date: 15:39 06.06.18. Batch: 217205217. Date: 16:27 06.06.18. Batch: 217210238. Date: 16:36 06.06.18. Batch: 217211401. Date: 20:09 05.06.18. Batch: 217145630. The amount of 2.1 USD has been deposited to your account. Accounts: U15359067->U133****. Memo: API Payment. Withdraw to SleduiZaMnoicom from DERGlobal Limited.. Date: 00:29 04.06.18. Batch: 216953547. Выплата: The amount of 2.1 USD has been deposited to your account. Accounts: U15359067->U981****. Memo: API Payment. Withdraw from DERGlobal Limited.. Date: 14:44 02.06.18. Batch: 216836581. 02.06.18 17:43	Receive	Received Payment 1.05 USD from account U15359067 to account U4*. Batch: 216851719. Memo: API Payment. Withdraw to FIFARA from DERGlobal Limited. The amount of 2.18 USD has been deposited to your account. Accounts: U15359067->U133****. Memo: API Payment. Withdraw to SleduiZaMnoicom from DERGlobal Limited.. Date: 17:41 02.06.18. Batch: 216851327. The amount of 2.23 USD has been deposited to your account. Accounts: U15359067->U133****. Memo: API Payment. Withdraw to SleduiZaMnoicom from DERGlobal Limited.. Date: 14:53 02.06.18. Batch: 216837890. Memo: API Payment. Withdraw to **** from DERGlobal Limited.. Date: 17:42 02.06.18. Batch: 216851461. The amount of 2.1 USD has been deposited to your account. Accounts: U15359067->U1. Memo: API Payment. Withdraw to RomaJe from DERGlobal Limited.. Date: 09:38 01.06.18. Batch: 216408469. The amount of 30 USD has been withdrawn from your account. Accounts: U421****->U15359067. Memo: Shopping Cart Payment. Deposit to DERGlobal Limited User ****.. Date: 14:58 01.06.18. Batch: 216750352. DERGlobal Limited	+15.94	39.7	Received Payment 15.94 USD from account U15359067. Memo: API Payment. Withdraw to Andr from DERGlobal Limited. Выплата: The amount of 2.1 USD has been deposited to your account. Accounts: U15359067->U981****. Memo: API Payment. Withdraw from DERGlobal Limited.. Date: 09:43 01.06.18. Batch: 216409198. Выплата: The amount of 4.2 USD has been deposited to your account. Accounts: U15359067->U981****. Memo: API Payment. Withdraw from DERGlobal Limited.. Date: 02:25 01.06.18. Batch: 216384092.